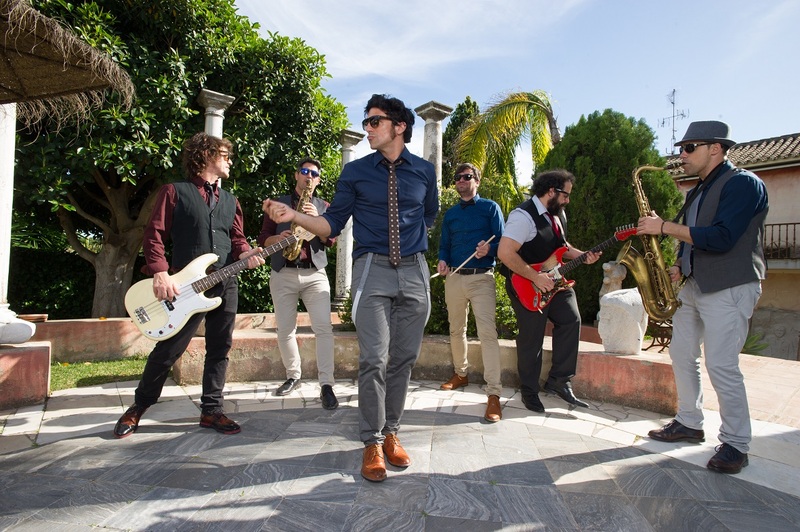 Choosing the right wedding entertainment is a big decision and there are so many different options in Spain, from DJs to bands to flamenco. We work with many different entertainment suppliers that offer lots of different ways of keeping you and your guests dancing all night long. Today's blog is about a FAB band - Jackie Brown Band. 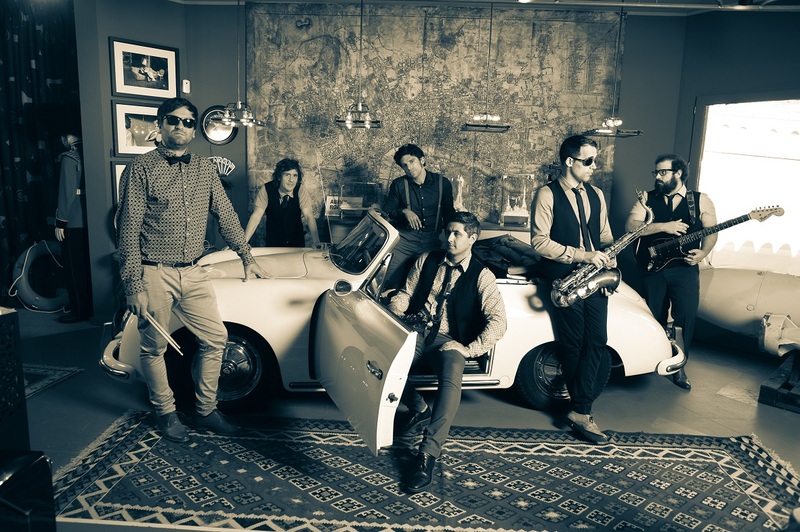 A group made up of 6 men that play a great mix of Funk, Soul and Rock Music. They are professional, friendly and will definately keep you entertained all night long. 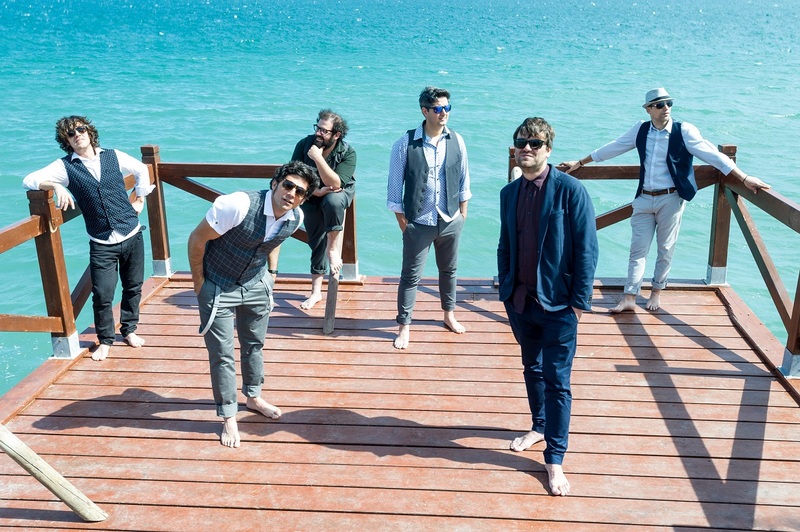 Find out more about this band with a few questions we have asked them so you can get a idea of them professional and personally. 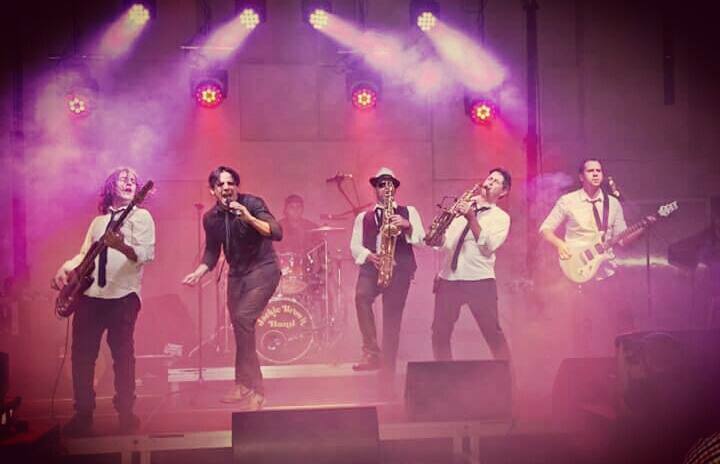 Jackie Brown Band is Located in the Marbella, Málaga and Costa del Sol areas in Spain and has more than 5 years of experience, playing the best Funk / Soul / Rock music of all time. 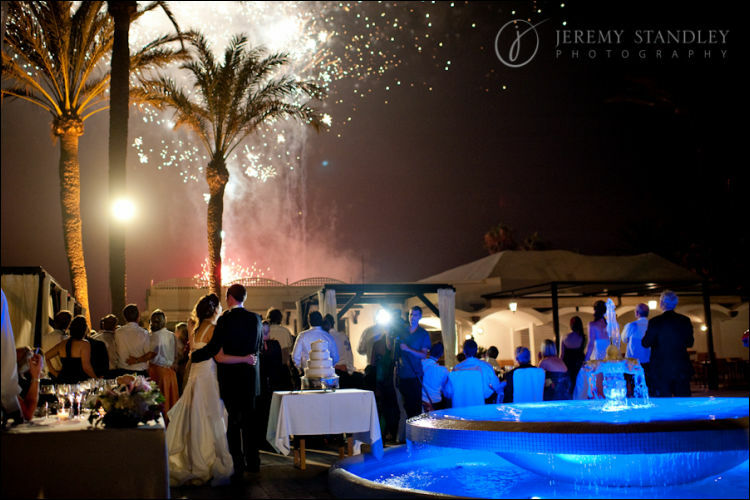 2) how long have you been working along side Perfect Spanish Weddings? Your experience in working with them? I don´t remember, but about 3 years. Its been always a great experience and the Girls from Perfect Spanish Weddings are Great and very well organized. 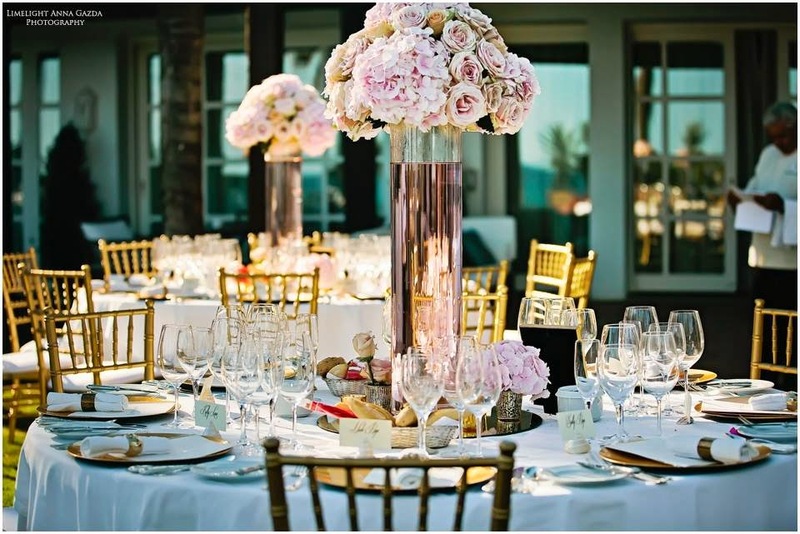 3) what is your favourite wedding trend? and Why? We don´t have a favourite one. As all of them has something special . 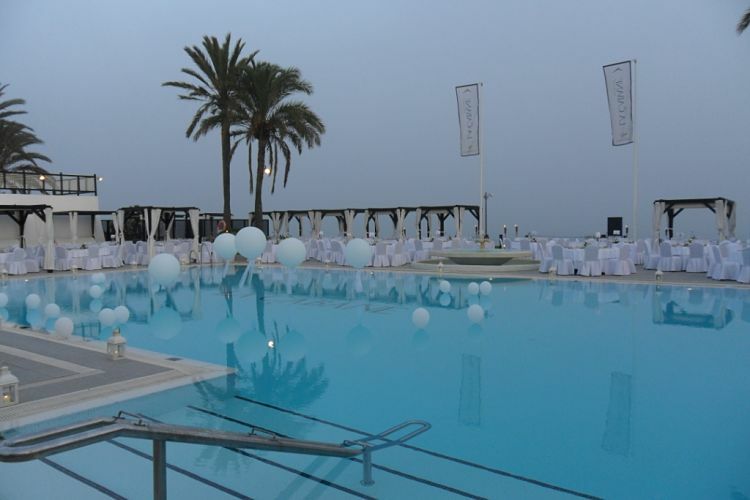 We love to enjoy with Happy people, but it´s true that Weddings on the Beach has something charming. 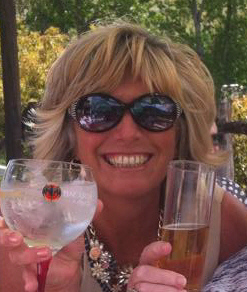 4) if you could recommend a place to visit whilst in Spain to our couples where would it be and why? We highly recommend our beautiful MALAGA. It has the best of Spain. Great City, Beautiful beach and the food is amazing. 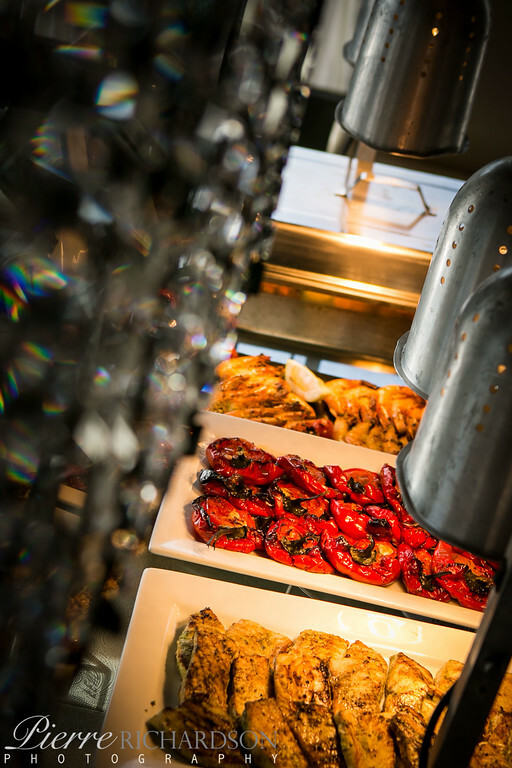 5) What is your favourite Spanish Dish? Its hard to choose only one, but we you can not come to Spain and not try the ¨Pil-Pil Prawns¨. Absolutely Amazing! 6) what does 2018 wedding season have in store for you? 2018 is bringing lot of new Projects. Creating new sound for our covers, and already lots of weddings ahead to be part of. Its going to be a great Year! If you would like to book this FAB band for your wedding entertainment for your wedding in Spain then please feef freel in get in touch and we wouldbe happy to help. If you are looking for a large stunning hotel that can accommodate a small or large wedding then this is the venue for you. This stunning 4 star hotel is amazing and has so much to offer. This is our largest venue we have to offer, it can accommodate up to 400 guests perfect for larger weddings and with a range of different banquet halls and terraces that are perfect for your wedding ceremony and wedding banquet. What is perfect about this venue is it has everything for everyone so if you still love this venue but are having a smaller wedding then you can still have your wedding at this beautiful hotel venue as the minimum guests numbers start from 50. The grounds of this hotel are breathtaking with the large swimming pool that takes center place in the hotel complex with grotto's and waterfalls perfect to capture some amazing wedding photos. 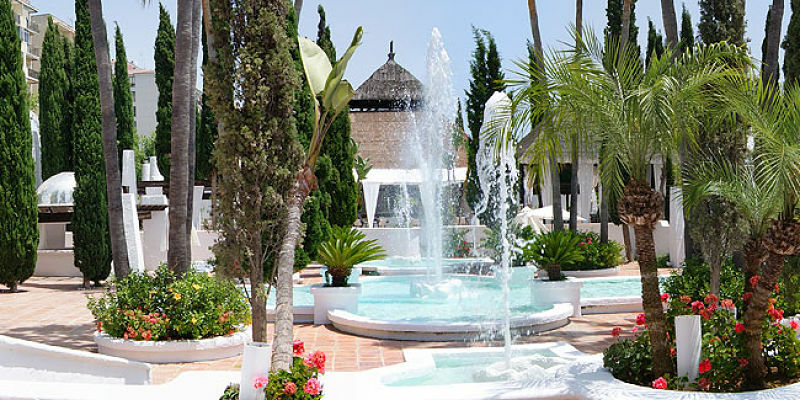 Then you can take yourself into the lovely landscaped grounds what is know as the Gardens of Leisure, these have been declared of "Tourist Interest" to the Spanish Tourist Board. The complex has either 2 or 3 bedrooms - with stylist interior, the white and blue tones through the room are there to create a relaxed and romantic atmosphere and reflect the Mediterranean sea. There are two beautiful resorts close to this venue that offer so much to see and do. Here is a link to these two areas with more information. 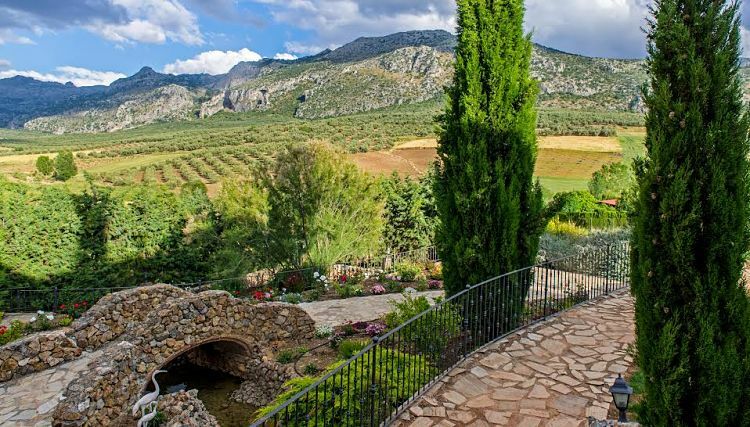 If you think this is the perfect venue to have your Spanish Wedding then please feel free to get in touch and we would be happy to give you further information. We work with so many FAB wedding photographers across Southern Spain that all do an amazing job and capturing your special day. 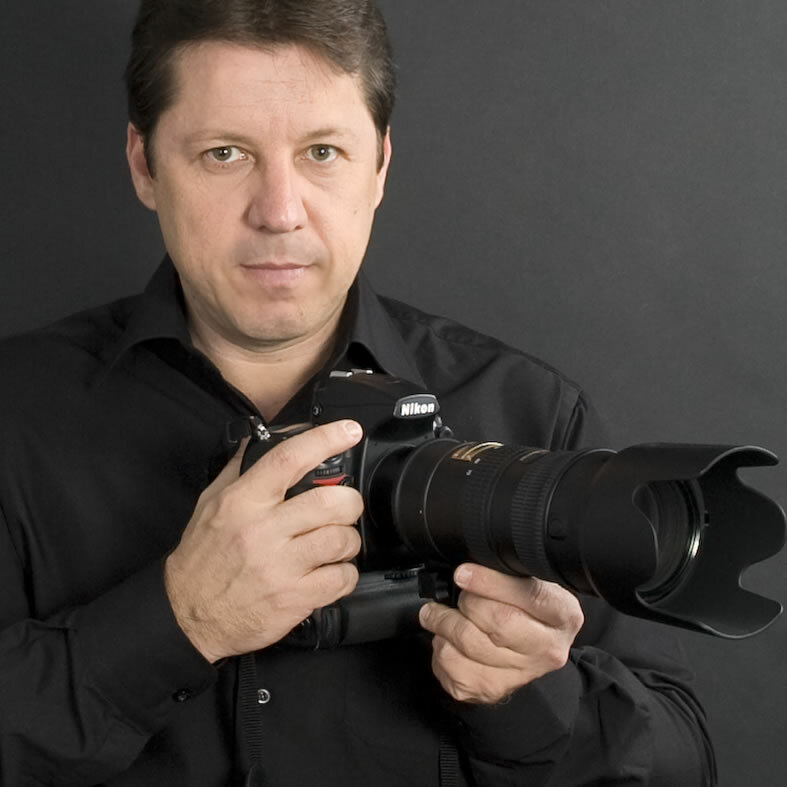 Today's guest blog is about one of our Wedding Photographers Paco Montagut Photography, they are two very talented photographers that work well together at created stunning photos and videography of your wedding day. I was born and raised in Marbella, began to take an interest in photography since i was very young and started to worked at different studios alongside very good professionals more than twenty years ago, as a wedding photographe , parties and also press - TV Camera for the national Spanish Stations and photojournalist for Diario de Malaga. My enthusiasm for photography gave me the confidence to start my own business, giving always the best of me to our customers . I have a wide range of packages to suit your particular needs , Photographer by hours, Digital books, Multisize albums .... ask for more information without commitment. 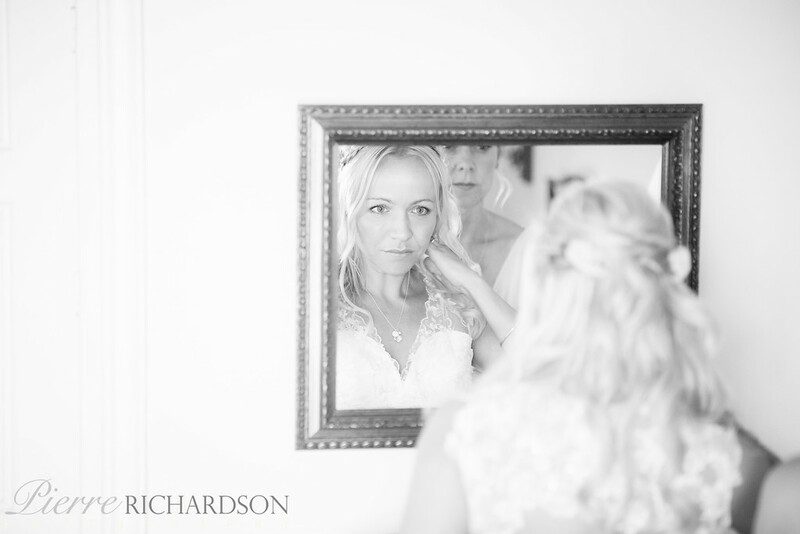 We also offer black and white & creative photography to add variety to your wedding images and capture the more sensitive and beautiful moments. 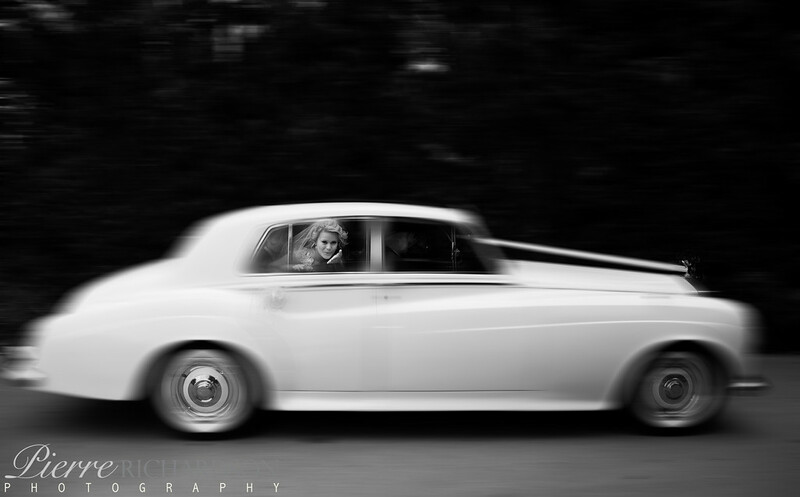 The images we create on your special day serve as precious memories for you and your generations to come. 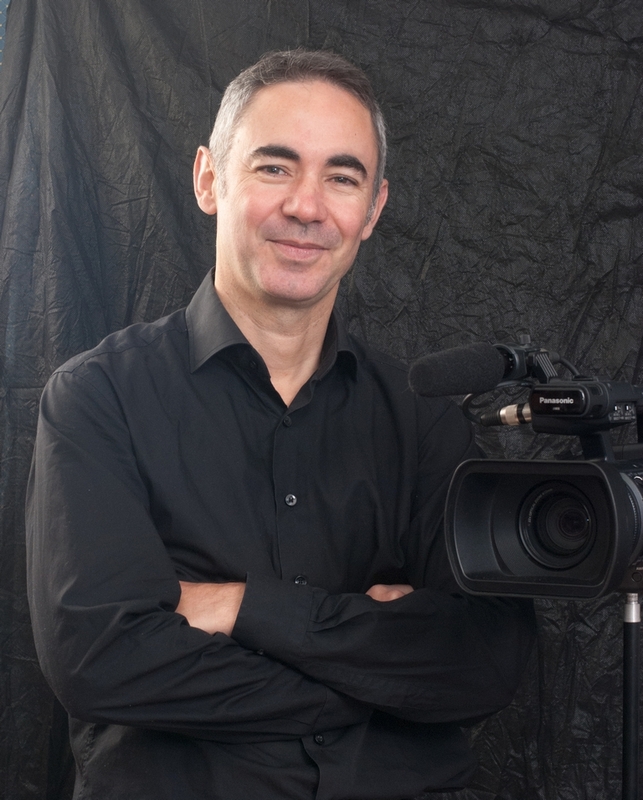 Since 2013 i am working in Partnership with Juanma Segura , a well reputed photographer and Videographer, so we are doing also videography with documentary Style . I did my first wedding for Perfect Spanish Weddings in the summer of 2014 , My experience with this company is really good , they are very professional and makes my job easy, everything is well organized and this ensures a sucessfull wedding . and that atmosphere with candle lights the moon in the night is magical . There are so many !! , The Alcazaba and Picasso Musseum in Malaga, Calle Larios as well with many Tapas bar, Marbella and Puerto Banus to know the night life, or Ronda one of the oldest towns in Andalucia, very recommendable, but i need a book to write all the places !! depending of the place of spain there are differents foods, In Malaga the Star Dish is Pescaito frito, called boquerones. The 2018 wedding season is coming strong, i am getting a good number of bookings, what i really want is health and keep the love and passion for my job, we capture memories for the people in a very special day , so we must give allways our best . Here are a few more examples of Paco and Juanma's work. If you love the look of Paco Montagut Photography's work and would like to book them for your wedding in Spain then please feel free to get in touch and we would be happy to help. Another stunning 2016 wedding. 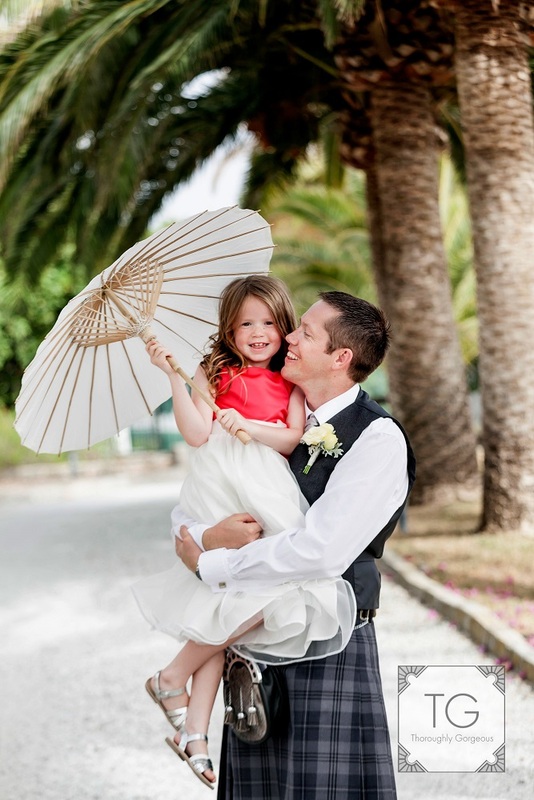 Leanne and Tim got married at a beautiful Villa in Nerja. They were surrounded by their close friends and family that celebrated their special day with them. As they said I Do under one of the lovely large trees in the beautiful landscaped gardens and then enjoyed a lovely meal and danced the night away in the venue grounds. The Villa is set in the foothills over looking the lovely historic Spanish villages of Frigiliana and Torrox. 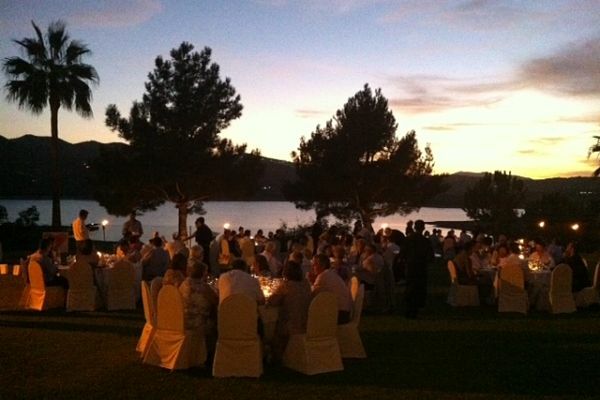 The Venue itself boasts a large terrace that takes in these wonderful views perfect for your wedding banquet. And then stunning landscaped gardens that are great to captured some FAB photos and also the chance for your guests to take a scroll and enjoy the Spanish Sunshine. 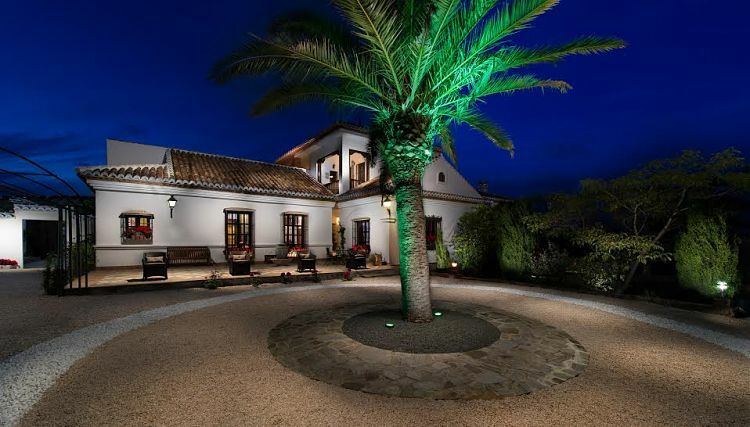 The Villa was designed and built in the style of The Alhambra Place. 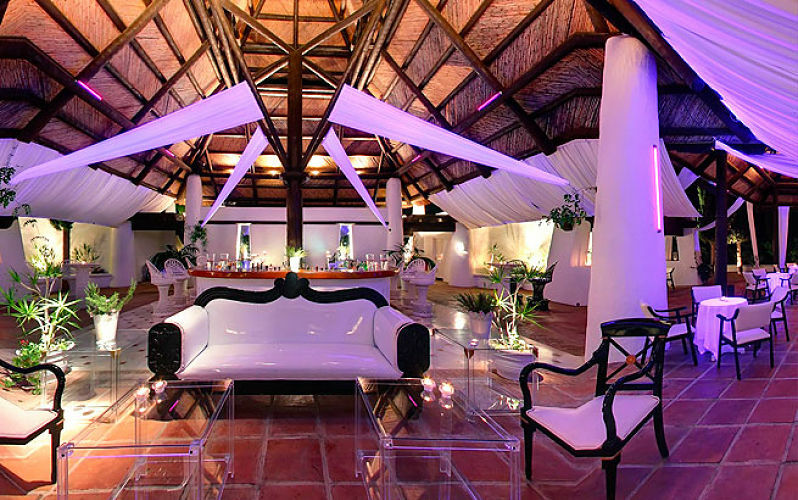 The Villa can accomodate 80 people for you wedding banquet with plenty of space for a dance floor to dance the night away. There is also 7 en-suite bedrooms, 3 of them are family rooms - you can sleep comfortable 18 people, plus being very close to Nerja and Frigiliana which offer many accomodation options for the rest of your guests. 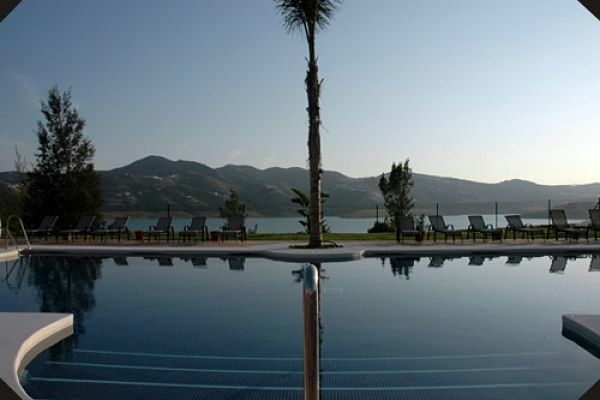 There is also a swimming pool, tennis courts, table tennis, sauna and Gym too. Congratulations to Leanne and Tim, we wish you many happy years together. A big thank you to the venue staff and all the suppliers that we worked with on the day to ensure Leanne and Tim's day was just perfect. We couldnt havent done it without you. Also thank you to Talia Girauda who was their photographer for the day so captured someamazing photos for the couple which I am sure they will treasure for life. 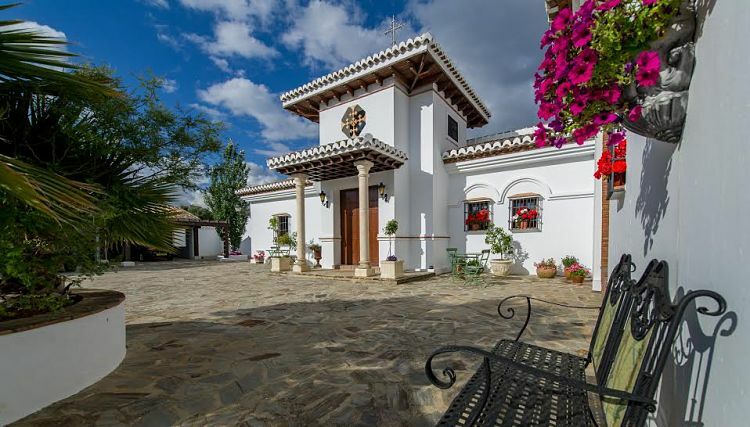 This villa is simply stunning and offers so much making it perfect for your Spanish wedding. If you think this is the venue you have been looking for then please feel free to drop us a message and we would be happy to provide you with further information. Finding the right entertainment for your wedding in Spain can be a hard decision with so many different options to choose from. 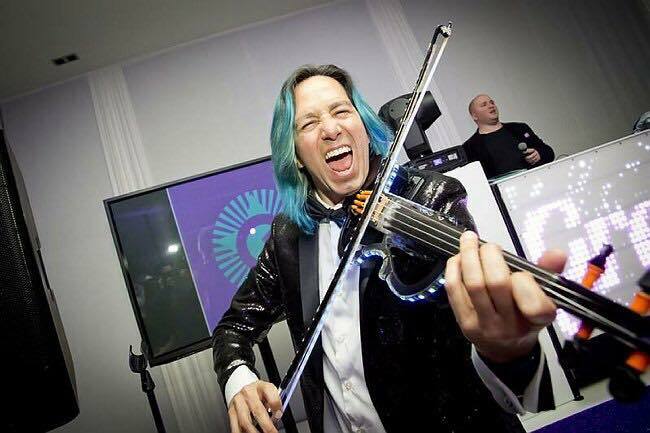 Today's guest blog is all about the entertainment we have to offer in Spain and one of our very talented Violinist's is here to tell you more about him and his services for your wedding in Spain. 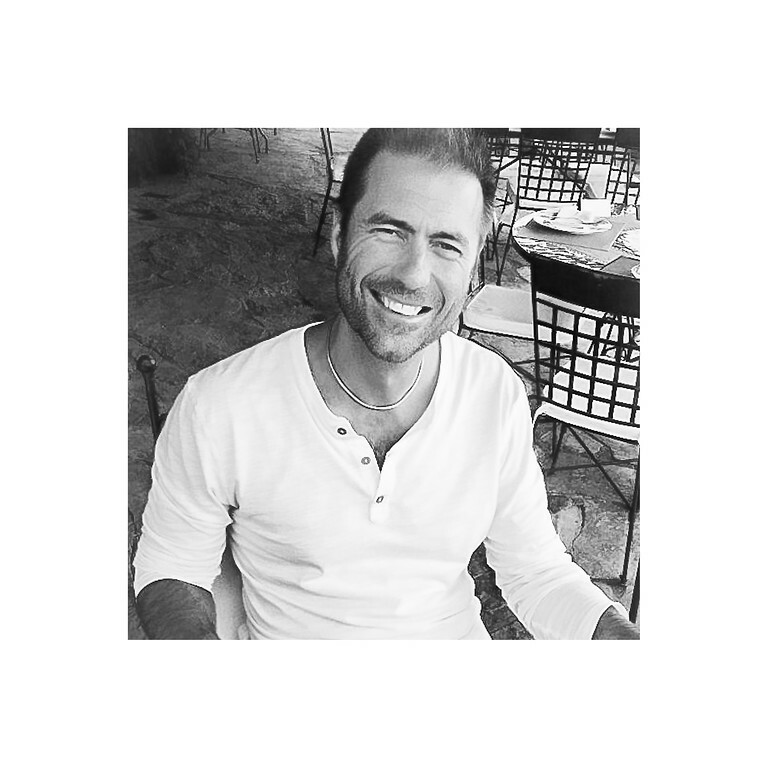 Quike is a fantastic musician and is full of engery and charisma amd you will be sure to be very happy with his services. 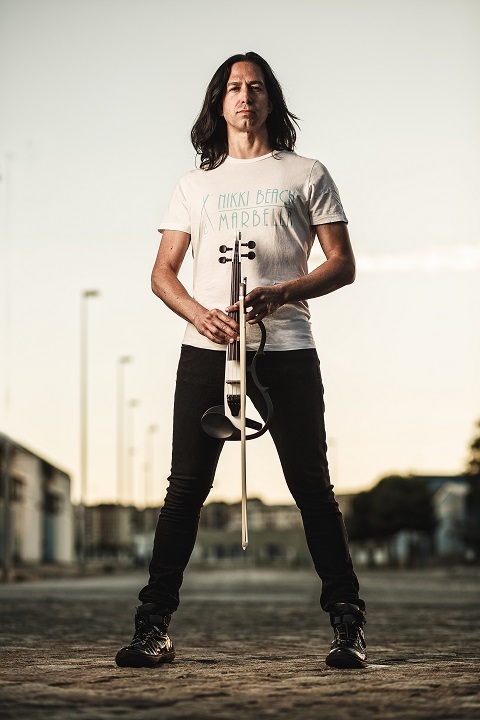 I am a professional violinist based in the south Spain playing from classical to chart music, pop, R&B and House music with my electric violin. We have been working together for the past 4 years and it's been great, They are extremely professional, it's always very easy to work for them. The gift lounge. I find it so cute and classy, with all the little versions of well known brands. 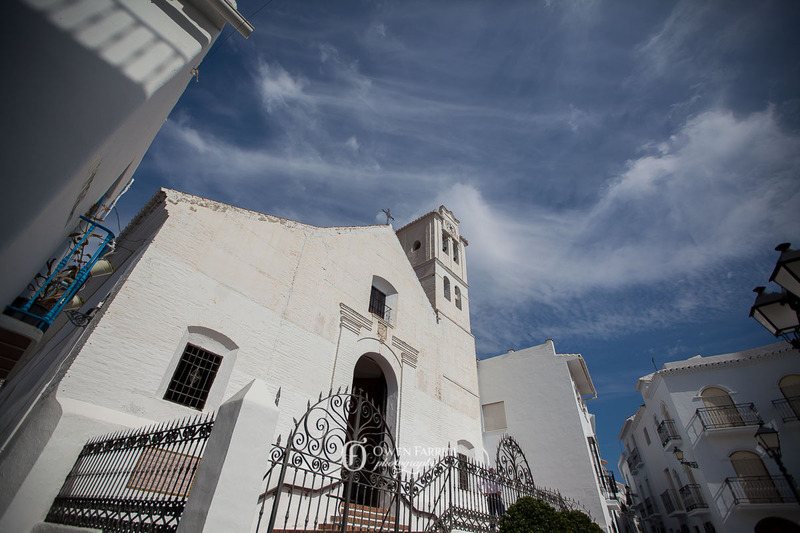 Frigiliana is charming because of it's beauty, the steep streets, the white houses, the sweet wine and the sea views. Honestly it's hard to pick a favourite between paella, sardines or fried eggs with french fries. Meeting more wonderful people that enjoy my music and go crazy dancing to it. This is one of our new venues up for offer. 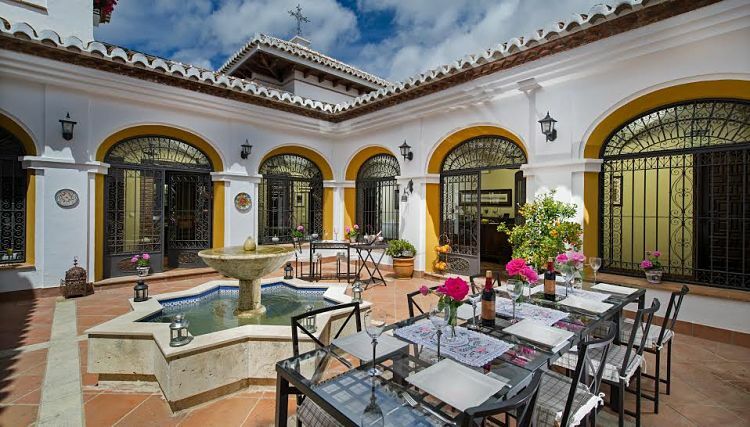 It is a stunning Hacienda situated on the outskirts of Malaga. 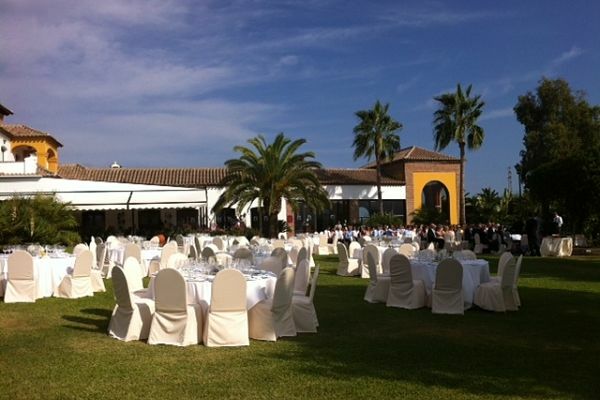 The Venue is simply stunning and is perfect for a wedding in Southern Spain. 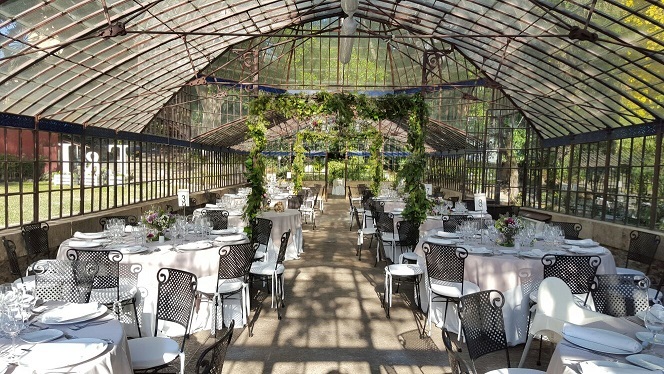 When hiring this venue you get exclusive use of the venue and its grounds, it is truely breathtaking and will definatley have that WOW factor! 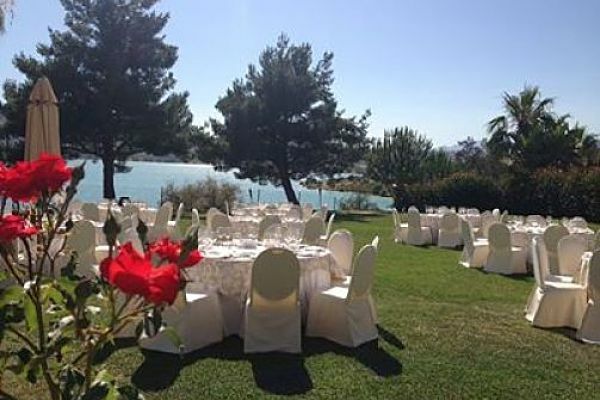 This venue has a range of areas around the venue that is perfect for your ceremony and your wedding banquet, all taking in the wonderful views of the surrounding area. 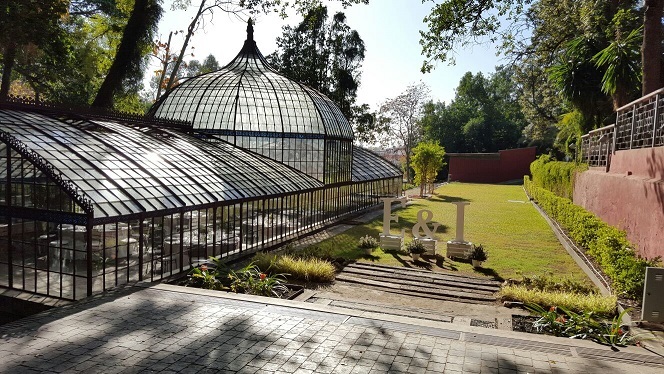 The gardens are beautifully landscaped and are perfect to captured some amazing wedding photos. 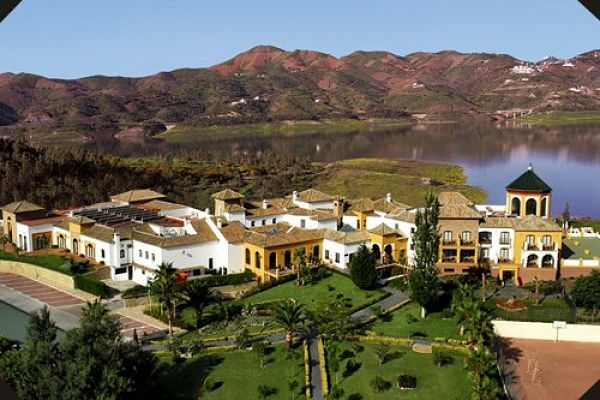 This venue has no accomodation on site, however you are very close to Malaga that offers a range of accommodation options for your and your guests. 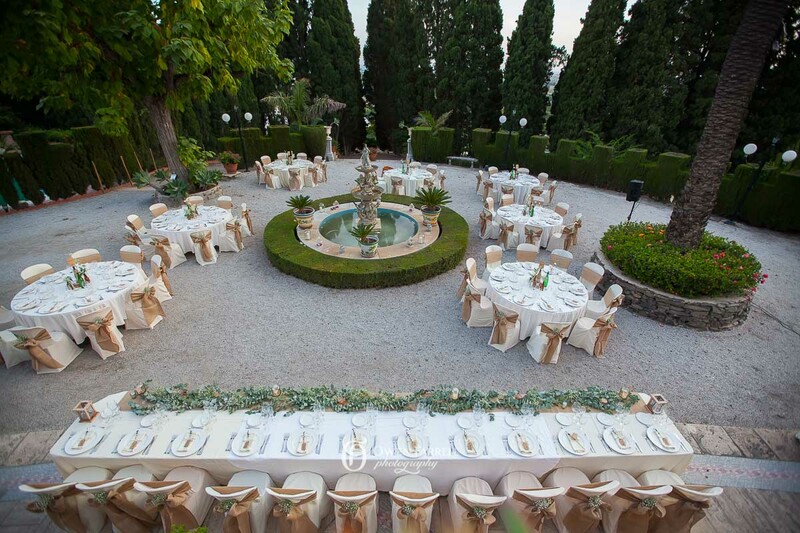 So if you are looking for a venue that has stunning interior and exterior plus beautiful gardens that are one of the best in Malaga then look no further. If you would like further information on this venue then please feel free to drop us a message and we would be happy to help. 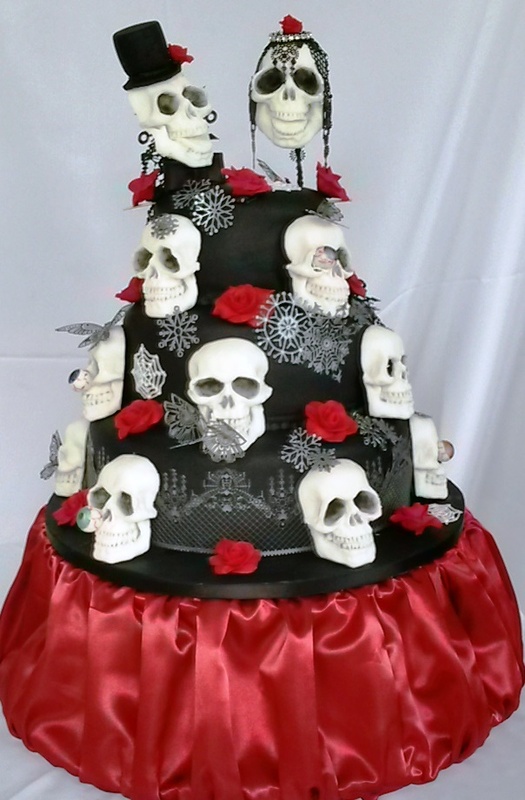 Today's guest blog is a boutique cake business in Spain. We have worked with this company for many years and can highly recommend them. We asked Designer Cakes Spain a few questions to give our customers a bit more information on them and also a few photos to see their work. Can´t remember exactly, but goes back a good few years and always good, especially with Paula. No favourite - love the way things come and go and how I have to adapt & keep up - never boring! So many places and beautiful cities, but as we are on the Costa del Sol, I suggest Nerja as it is unique. Favorite Spanish dish has to be Sardinas al Espeto eaten on the beach in sea air... Lots of other Mediterannean and intenational cooking available here too. 2018? Uff.. looking like being the busiest ever! What type of Hen Party are you having? Is your hen party all planned? if so what are you doing? 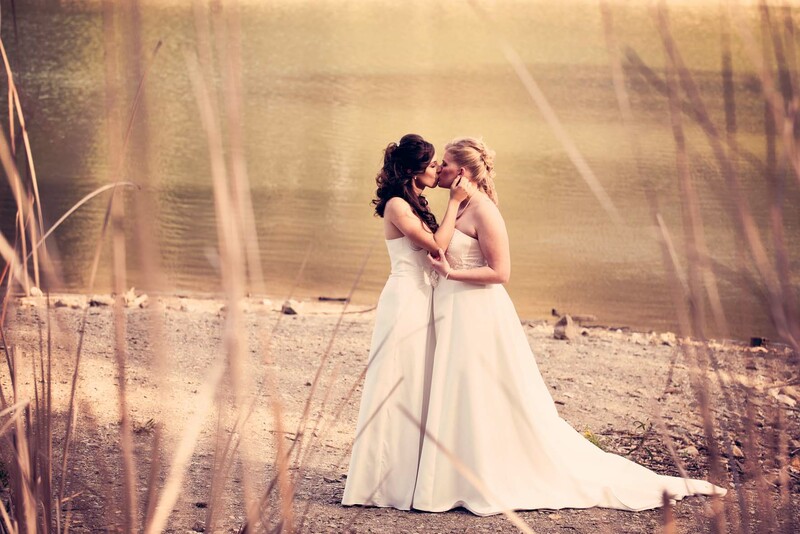 With so many different options out there it is quite a daunty task for your maid of honour/bridesmaids to plan the perfect night/weekend/week hen party for the bride to be and after all it has to be what the bride will love doing, the last think you want to do is organise something the bride to be will not enjoy. So I have put together a few different ideas I have come across to maybe give you a bit of inspiration. 1) A popular choice for many - a relaxing spa day, a day to unwind with your girls, get pampered and a spot of lunch. 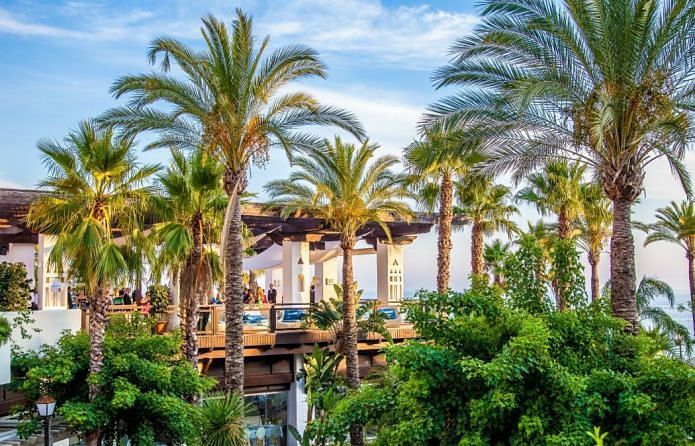 5) A weekend away - maybe a city break with a mix of seeing the sights and of course plenty of food and drinks in the evening - or maybe head to a beach resort to soak up the sun in the day and then dance the night away in the bars and clubs. 6) A murder mystery themed dinner event - A great opportunity to get all dresses up into your themed charactor and take part as the mystery unfolds. 7) A dance lessons - this is what I taught a few weeks back to a hen party, they came all dressed up in frapper dresses as the dance themed they chose was Chicago, I taught them a dance which they learnt perfected and then i filmed it. It was a good giggle and it is suitable for all ages. 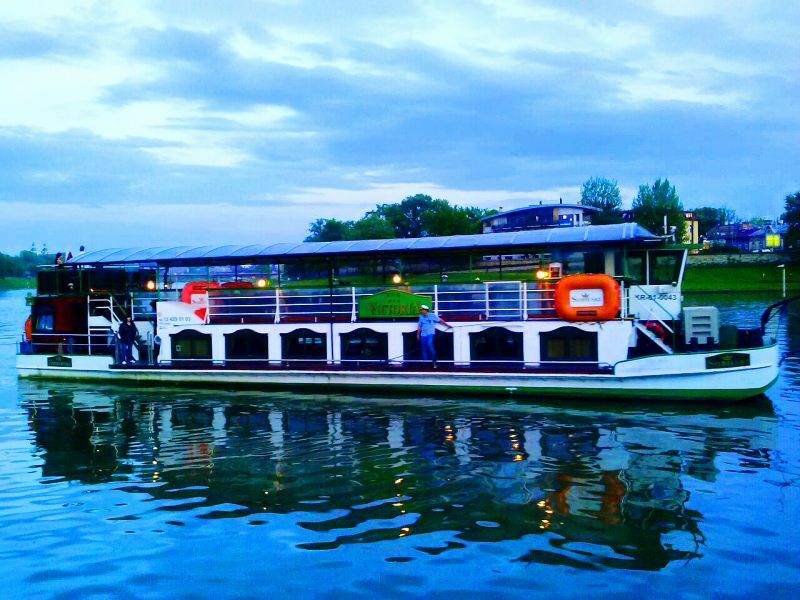 8) A boat river cruise with dinner and evening entertainment - A lovely way to enjoy the views plus something a bit different then being in a bar. Of course you can also combine many of these things together to make it the perfect Hen Party. This is just a few ideas for you, I hope it has given you a few ideas. 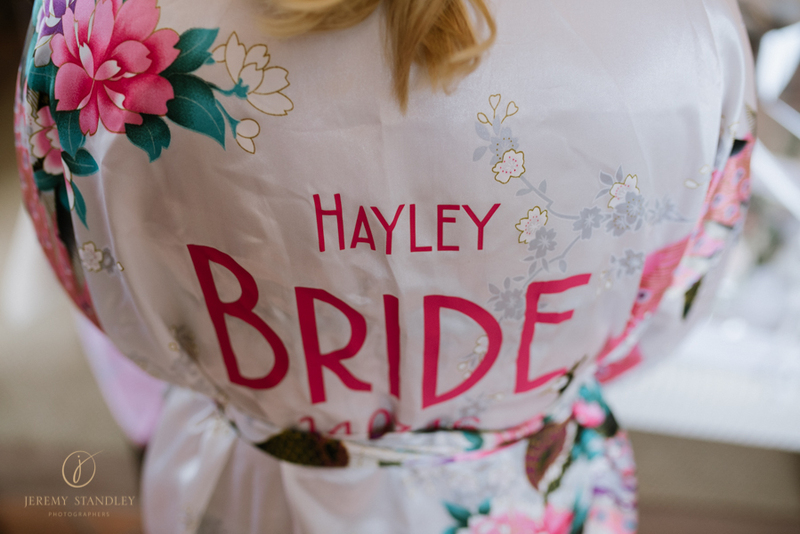 Would love to hear what your hen party has planned? 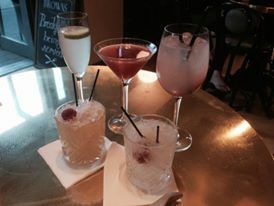 Happy Planning and have a FAB hen party. We pride ourselves in working with the best suppliers in Spain and have built up a reliable, professional datebase of suppliers who not only do an excellent job but we also have a great working relationship with them. We feel that it is important for our customers to also get to know our suppliers and our relationship with them, hense why we have now introduced Guest Blogs. 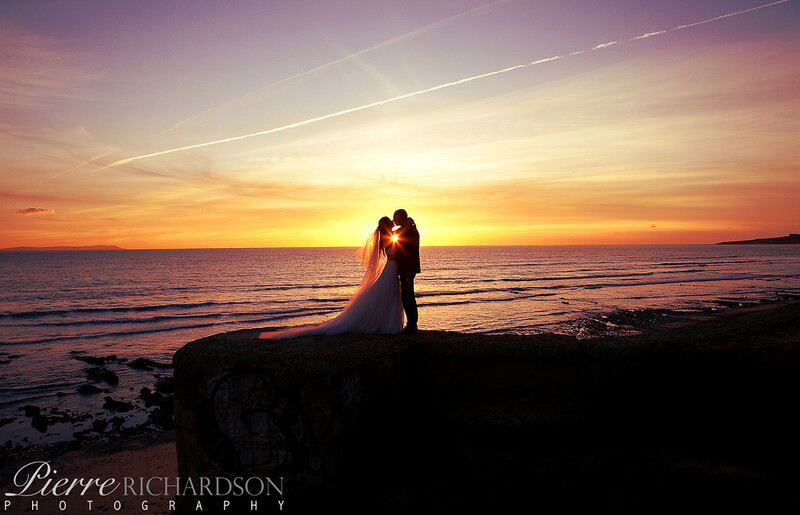 Today's guest blog is one of our talented wedding photographers - Pierre Richardson. My name is Pierre, I am a full-time professional wedding photographer based in Tarifa, just south of Gibraltar where the Costa del Sol meets Africa. This is where I have made my home, and where I have established my studio for the last 14 years. I am often asked what it's like to live here, and do what I do, and the short answer is I believe I have the best job in the world: I am permanently surrounded by happy people in beautiful settings, who invite me to the happiest day of their lives to help them remember it forever. And all this in guaranteed sunshine..! Fun and light-hearted as all this may be, it is also for me a great responsibility, as your wedding photographs are the foundation for preserving all those wonderful memories, which you and your loved ones will cherish for years to come. I always feel very honoured when couples entrust me with photographing their wedding day, and it really inspires me to capture it in a way that reflects their vision, with all the love, the joy, the beauty, and the sacredness of such a special occasion. So to all you lovely happy people, a genuine and heartfelt "thank you"! 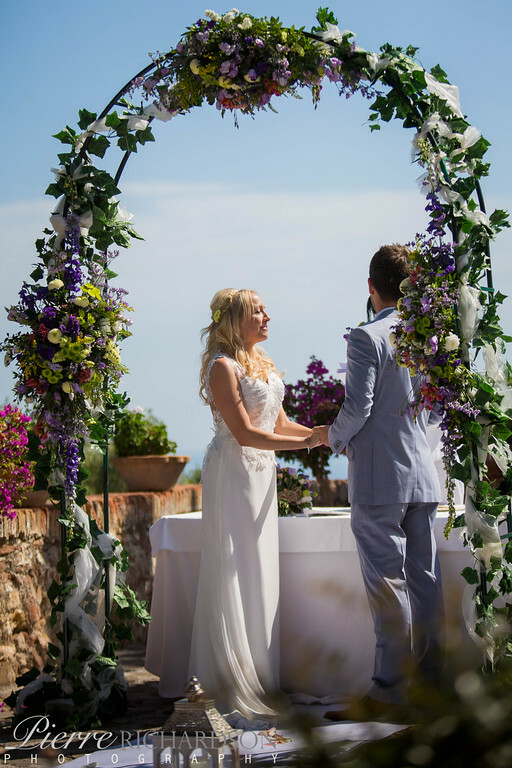 I have worked with Perfect Spanish Weddings for a couple of years now, and I have found Moira and all her team to be very professional, easy going and just great to work with. The vintage-glamour look, as much for the couples' outfits as for the settings and decorations, I like this new classy trend of mixing old and new, it's fresh and makes for great photos! It has to be Tarifa, my home town, with its 7 km of white sandy beaches, where the Mediterranean meets the Atlantic ocean, and Africa is just a short hop across the strait. 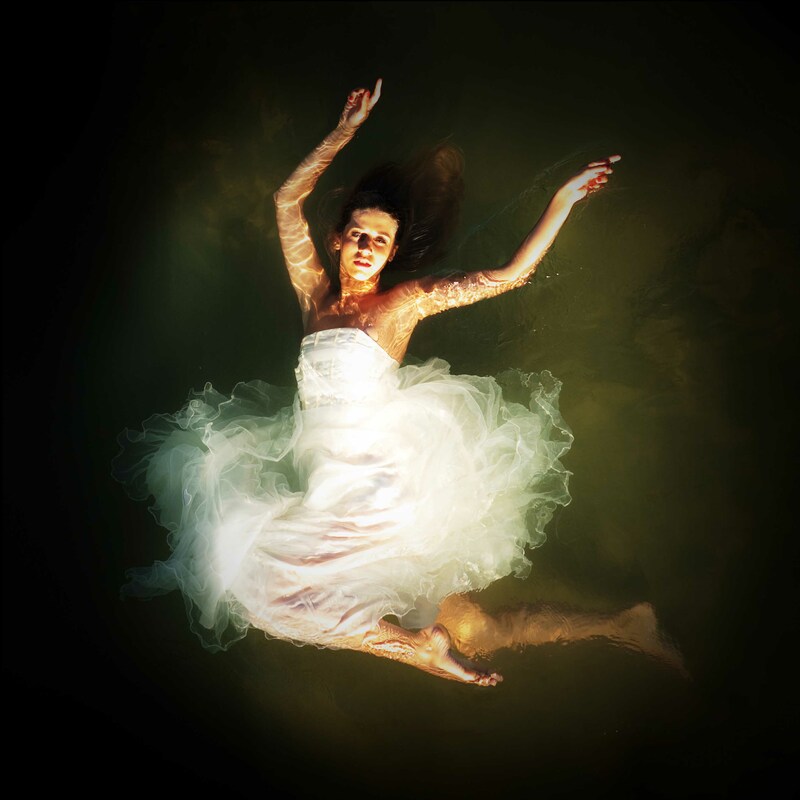 It is one of the most beautiful places in Europe, perfect for wedding photography, especially "trash the dress" shoots! It's already shaping up to be a very busy season here in Spain, but I have established a base in Dublin this year, so I hope to develop more business opportunities there for 2018. 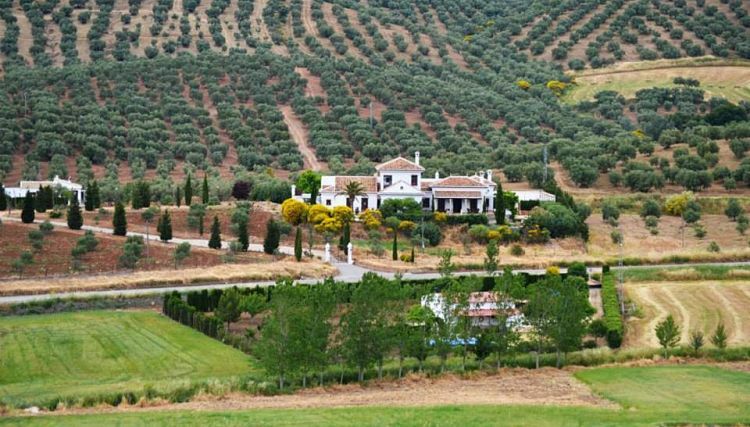 This venue is simply stunning....... A restored Boutique Hotel situated in the Spanish Countryside surrounded by natural beauty. 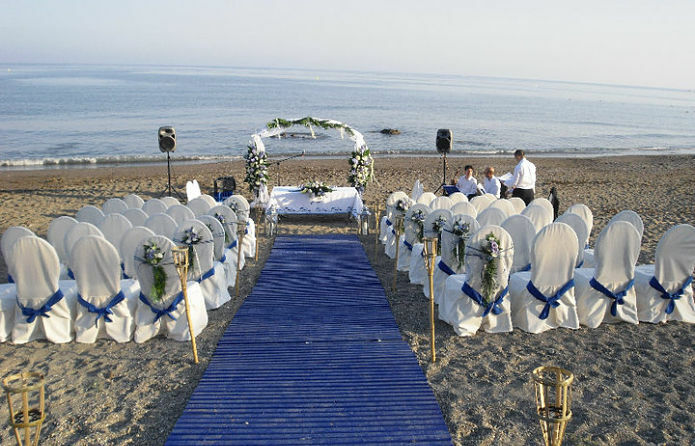 It is only 30 minutes from Malaga Airport and Torremolinos beaches making it a perfect location for your wedding in Spain and then to explore and enjoy the Spanish beauty. There are 8 bedrooms at this venue, all with en-suites and the interior is beautifully decorated. 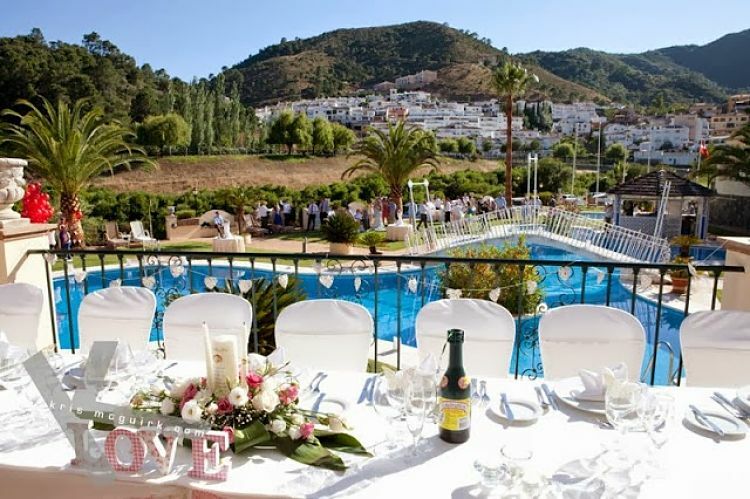 The outside boasts 7 individual gardens providing plenty of space for you and your guests to enjoy the views and the Spanish sunshine, plus the perfect opportunity to get some amazing wedding photos. 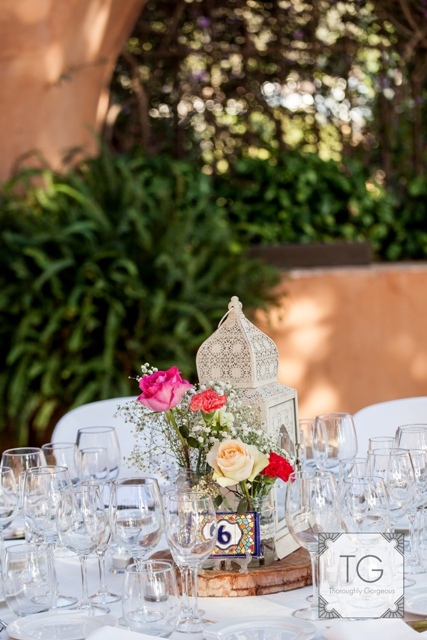 There is a large Morcoccan inspired courtyard in the centre of the hotel, which includes a lovely tiled fountain and chimaera and orange trees - this location is ideal for your wedding banquet. 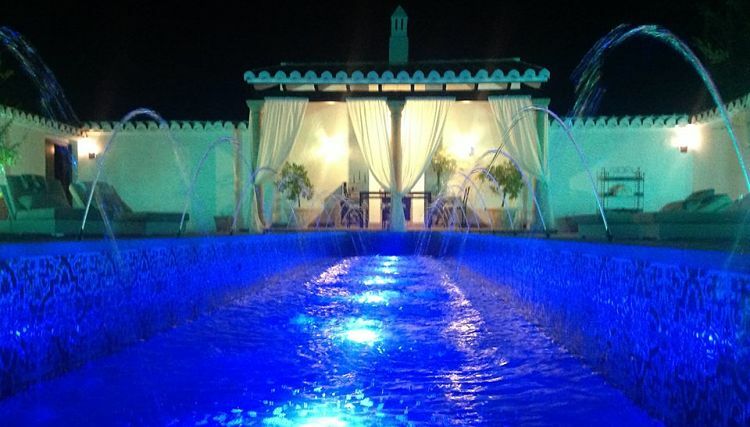 There is also a perfect walled Alhambra garden which has a central waterway and fountains which is perfect for your wedding ceremony. 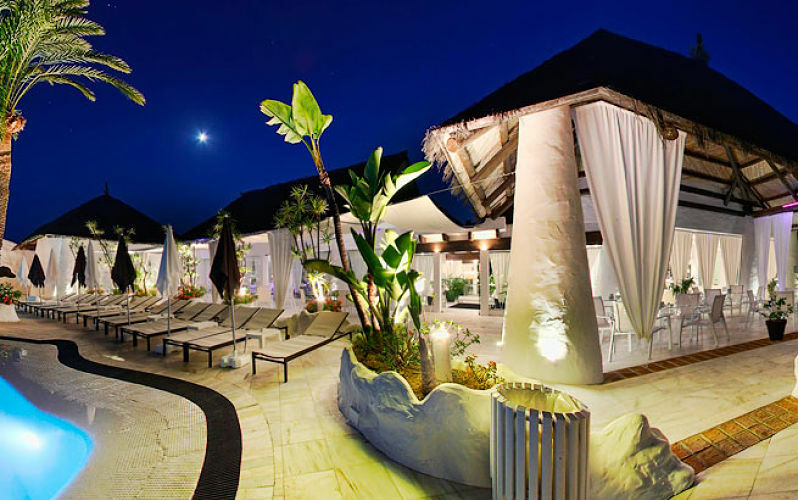 This hotel has so much to offer and it is one of the most stylist wedding venues in Southern Spain. You can see why people choose to make this their Wedding Venue, with the stunning views, intimate location and stunning interior and exterior of the Hotel. 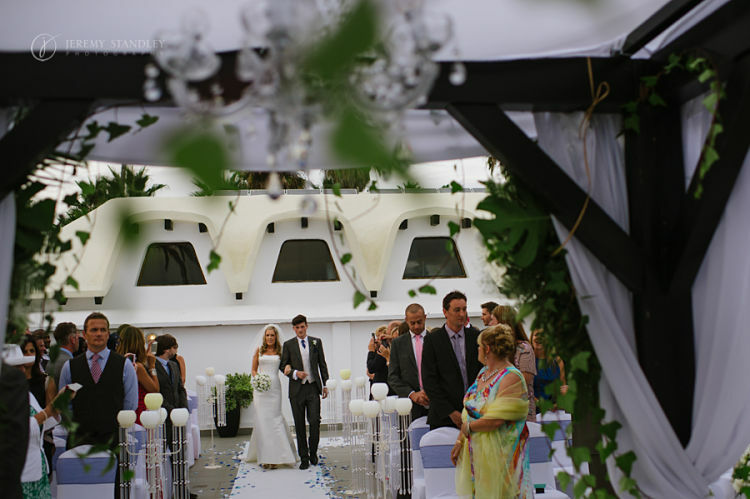 We work with so many amazing suppliers in Southern Spain that all help create your dream wedding in Spain. 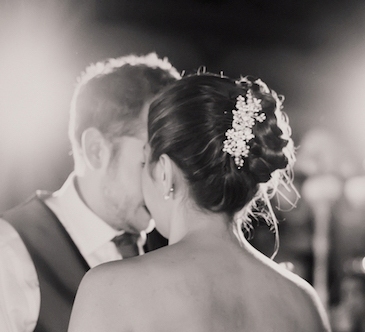 Today's guest blog is about one of our lovely Wedding Singer's Amanda Rosa. 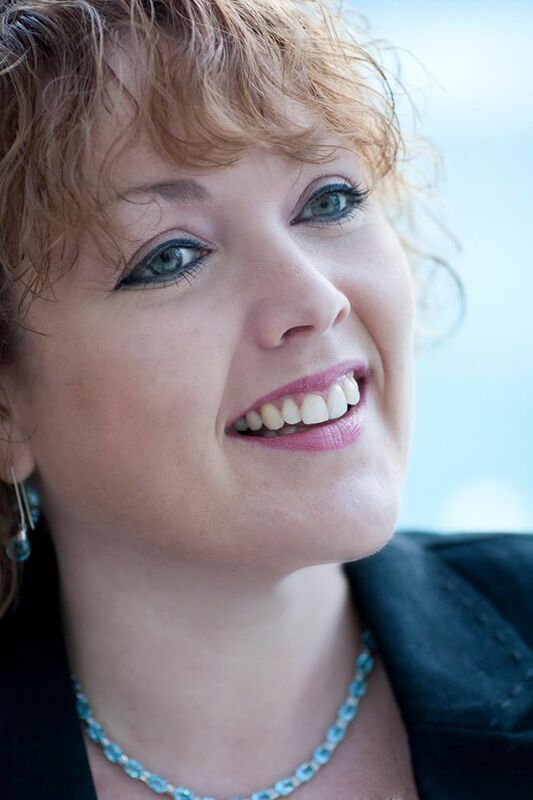 We asked Amanda a couple of questions both Business and Personal related so you can find out more about her services and also a bit more about Amanda herself. 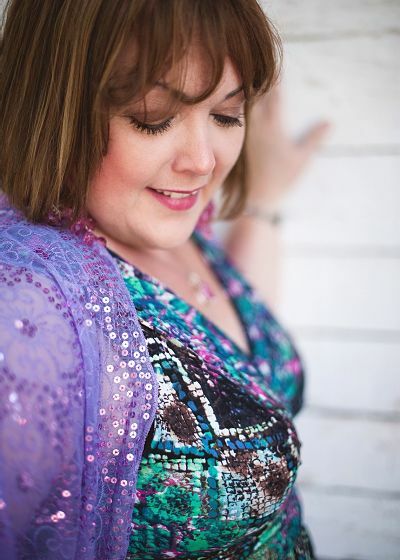 Amanda Rosa Classically Trained Wedding and Event Singer. Amanda offers music for your Wedding Ceremony and or for your Drinks Reception (Cocktail hour). 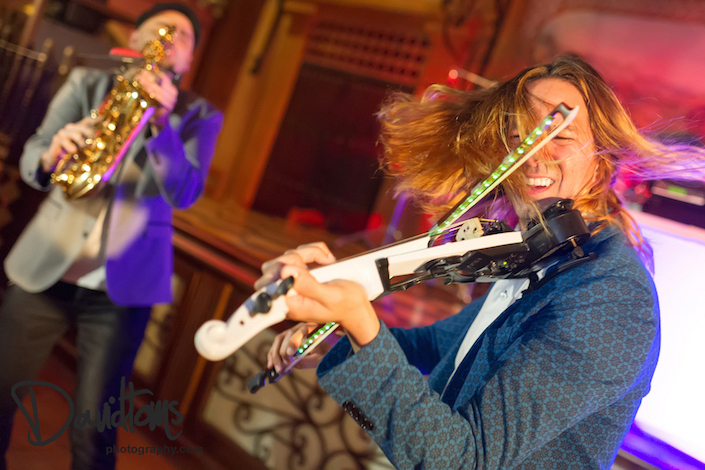 Whether you are having a Church Ceremony or Wedding Blessing, Amanda´s repertoire is extensive and she is a very versatile performer. She is happy to help you tailor your music to suit your special day. The music you choose is important and should reflect you both and highlight the love you share. For your Drinks Reception (Cocktail hour) Amanda can offer either a chill out theme or perhaps you´d prefer a mixture of styles that will keep you and all your guests entertained while you begin the celebrations of your big day. Amanda´s repertoire includes many different styles such as Ballards, Jazz, Blues, R & B, Motown, Swing, Pop and Rock. 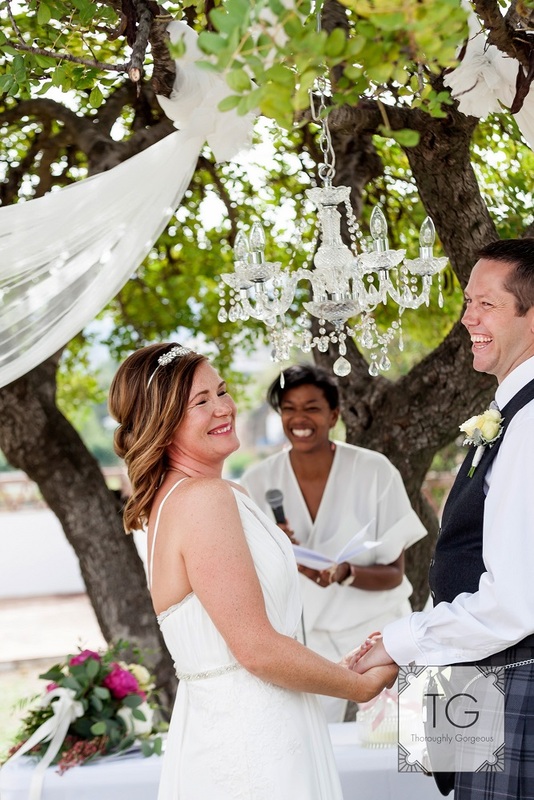 Sometimes couples who are fans of the Westend Musicals or Opera Classics choose to include a few Showstoppers mixed into their Wedding day music. 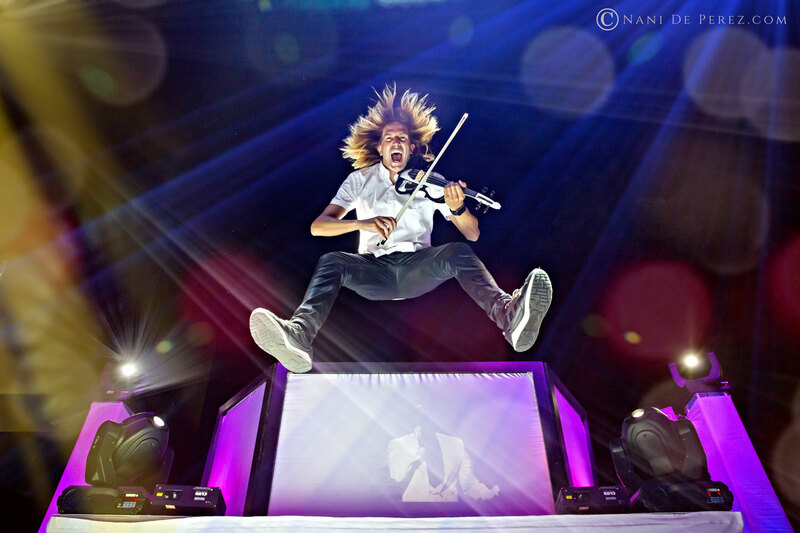 It is your day and the music should be the type and style that suits you personally. 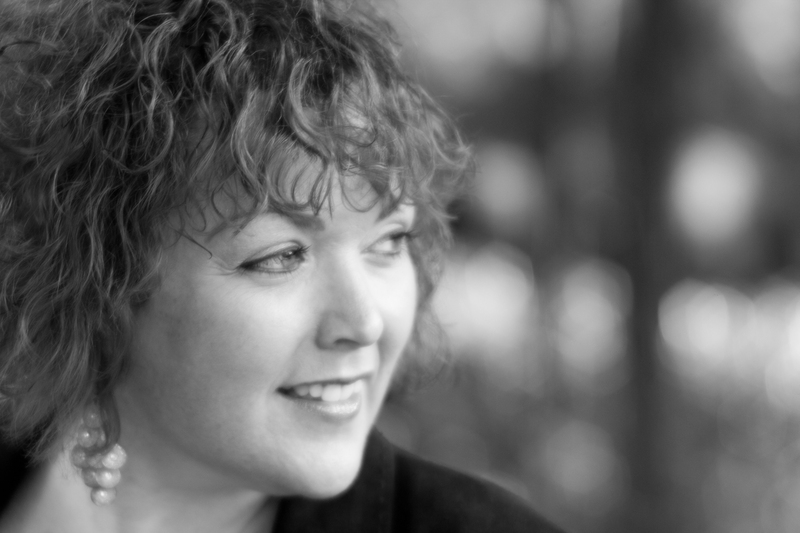 Your Wedding day is such an important occasion and Amanda is always dedicated to ensuring that your Wedding music will be nothing but perfect! How long have you been working along side Perfect Spanish Weddings? Your experience in working with them? I have been working alongside Perfect Spanish Weddings for the last 8 years and I have always found the company to be reliable and efficient. They are always pleasant to work with and have a very professional manor. This all helps to make each couples day nothing but perfect. What is your favourite wedding trend? and Why? If you could recommend a place to visit whilst in Spain to our couples where would it be and why? Nerja. It is just the most lovely place to be with stunning coastline. Probably tapas as you can try many different varieties of Spanish cuisine at once. It´s also a fun way to eat and socialise. What does 2018 wedding season have in store for you? 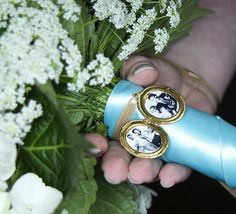 The honour of being involved in plenty more happy days for some very special couples to be. Can´t wait! Here are a few more photos of Amanda Rosa. Where will you be buying your Wedding Dress from? Where will you be buying your wedding dress from? and How much are you willing to pay? There is a mixed opinion about wedding dresses somebrides say its only a dress you wear for one day so they wouldnt spend too much on it, but then others say you its a big part of the wedding and they would spend a couple of thousand pounds for the right dress..... where do you stand? Its seems to be a growing trend that more and more people buy their wedding dresses online, and if im honest I can see why they do, with the cost of some wedding dresses today. But would you risk buying your wedding dress online?? I can honestly say when I got married it never even crossed my mind to buy my dress online, and I am a bargain Queenbut I loved going from bridal shop to bridal shop and having the experience of trying all the different styles on, and I was on a budget too. I was very lucky to find my dream dress for £550…. yes this was 12 years ago but I do believe you can still snap up a bargain from a bridal shop. Having worked in the Bridal Industry it does seem that more and more Brides are looking for a bargain and Iam fully with them on this, you dont need to spend thousands of pounds on a dress you can still finda stunning dress for £600 and under depending on what style of dress you are looking for. This does however mean some people looking at purchasing online but it is so risky and it is something you really need to consider. Its great getting ideas of dresses online and getting a feel as to what you like but just really think long and hard about buying online. 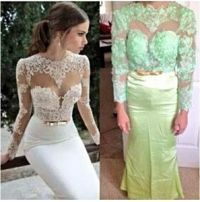 There are so many horror stories where Brides have brought online, their dress arrives and it is nothing like the original photo. So with all of this is mind there are many other ways of being able to get your dream wedding dress at a more affordable price. We are pleased to be introducing guest blogs from all our lovely supppliers. 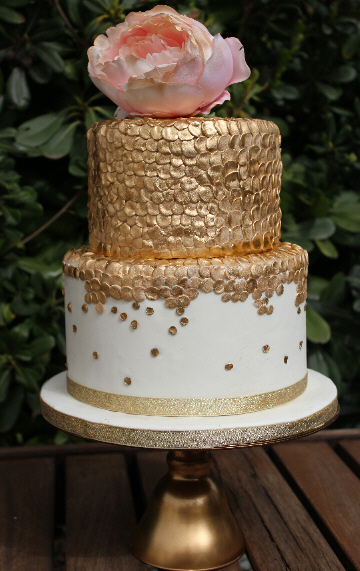 Today's blog is from Wedding Cakes In Spain. 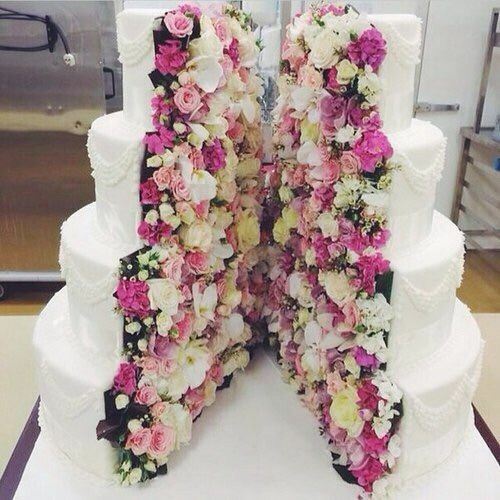 Wedding Cakes In Spain was started in 2003 and has gone from strength to strength. 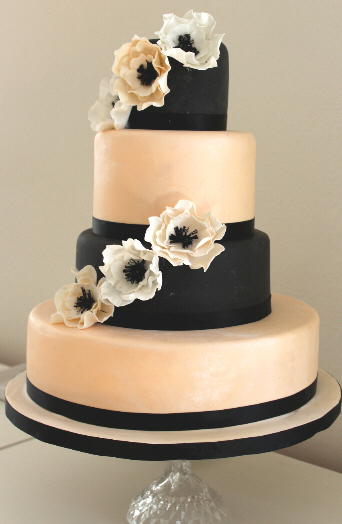 We specialise in designing and create bespoke wedding cakes for your special occasion. 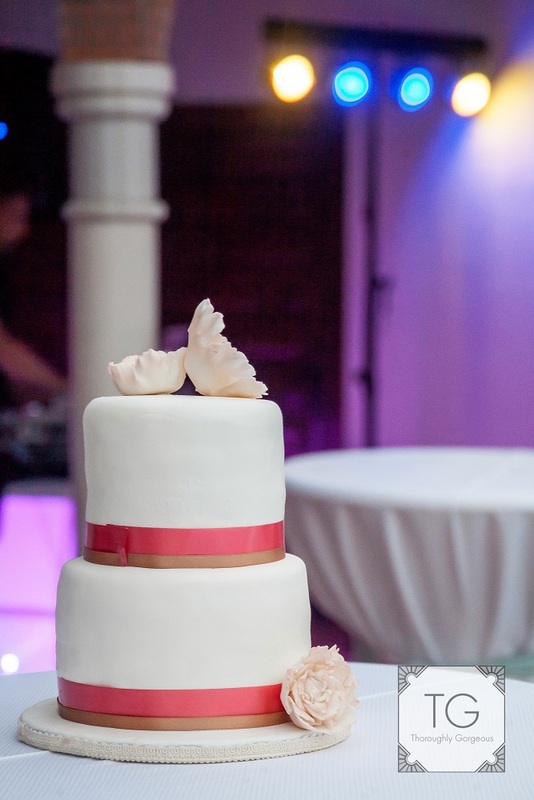 Two years ago we opened our own wedding cake and decoration showroom to showcase our designs and wedding ideas. 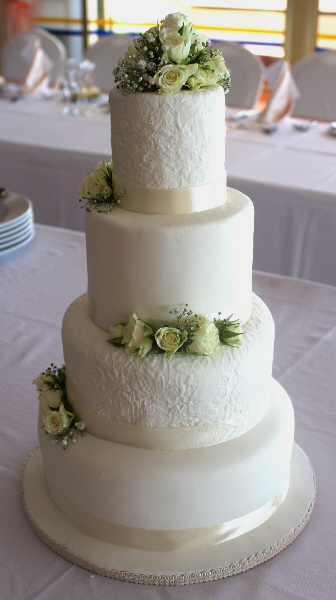 Wedding Cakes In Spain has worked alongside PSW since 2009, I remember the first cake I made for PSW, it was a 4 tier creation decorated with lots of lemon coloured sugar roses for a wedding at the Villa Padierna Hotel. My experience working with PSW has always been positive and enjoyable. I think all weddings are beautiful, but if I were to pick a favourite trend I would choose the 20’s 30’s vintage look, inspired by a favourite TV program of mine Downton Abbey. I love the fashion of this era and the influence it has had on many weddings I have worked with over the past year or so. As a huge skiing fan I would have to recommend a trip to Sierra Nevada. The scenery is breathtaking whether you visit to ski in the winter months or walk in the summer months, I absolutely love it up there. This just has to be gambas pil pil, spicey and hot with lots of garlic.... to die for! Busy... but to be perfectly honest I would just like to focus on getting to the end of the 2017 wedding season before I can give any real thought to next year! 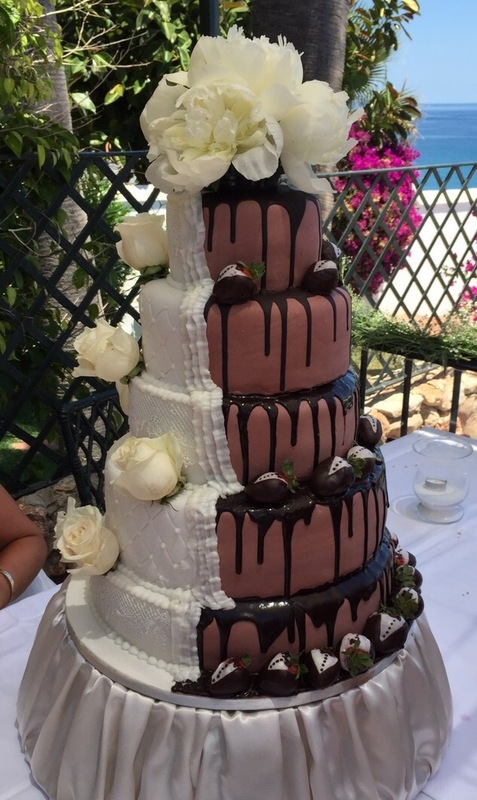 If you would like to know more about Weddings Cakes In Spain and would like to book their services then please feel free to get in touch and we would be happy to help. 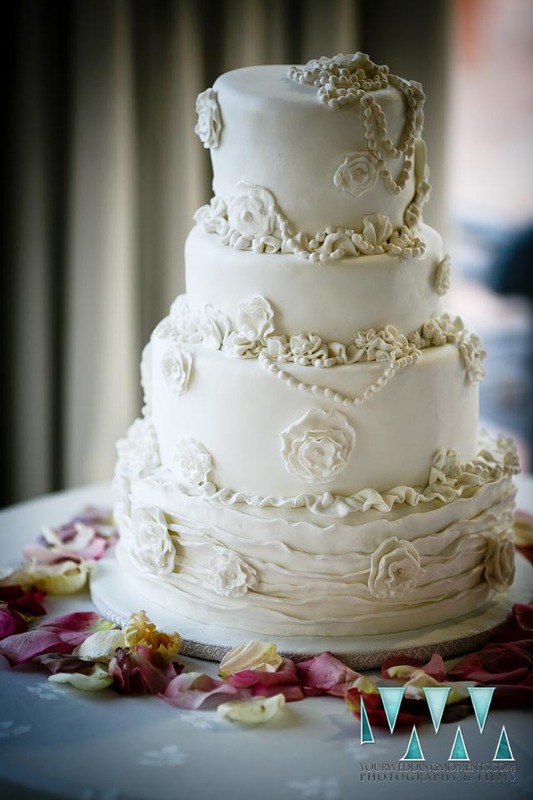 Here at Perfect Spanish Weddings we are hear to help with all your wedding planning needs including arranging your wedding cake. 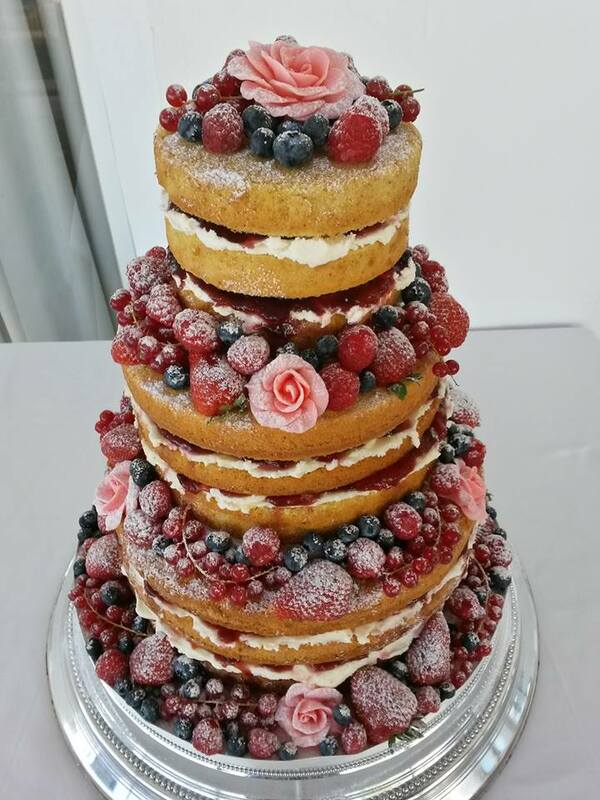 We work with a range of local cake makers that create the most amazing wedding cakes. 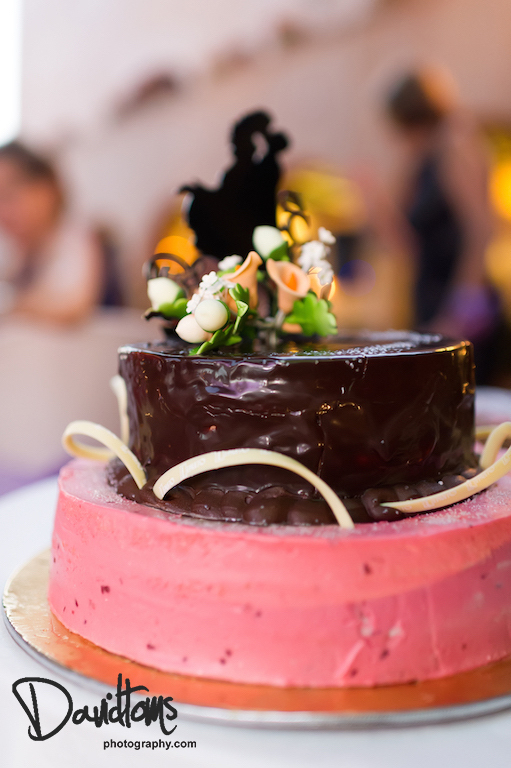 They will discuss with you all your requirements and any dietary needs and then create the perfect cake. 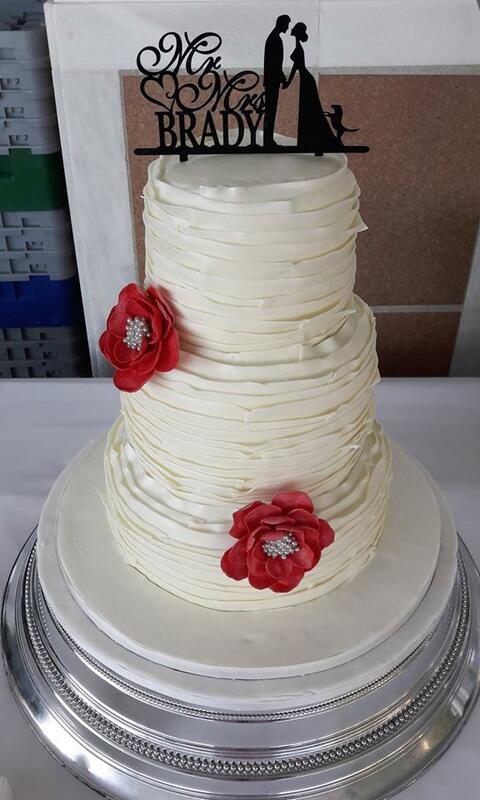 As you can see from our pictures there is a huge range of wedding cakes that we can offer you for your wedding in Spain, from our more traditional tiered cakes, to cupcakes, to the popular naked cake (last photo). 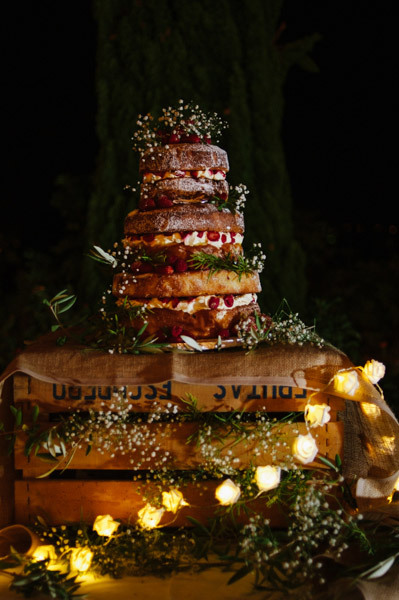 If however you do have another idea for your wedding cake then please feel free to get in touch and we would be happy to discuss this with you and see whether it is something our suppliers can arrange for you. 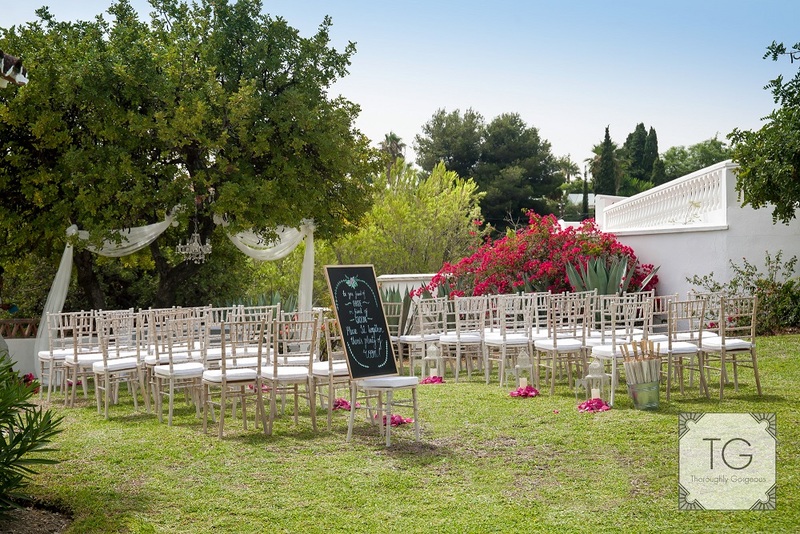 This venue is simple stunning and has so much to offer making it perfect for your wedding in Spain. 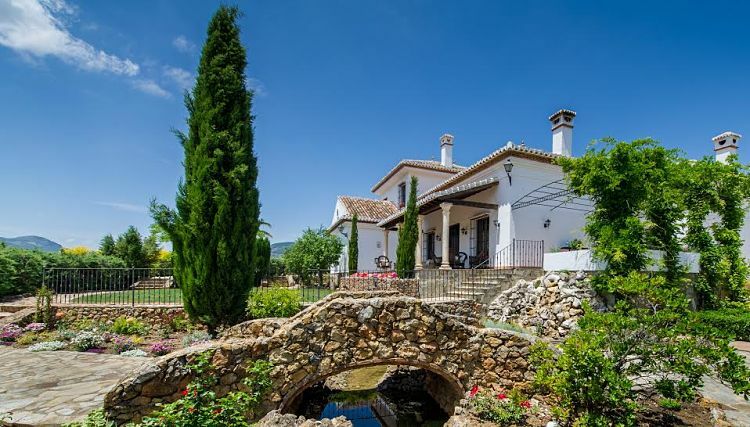 It is set inland with amazing views of the Spanish Countryside but only a short drive to the coast. 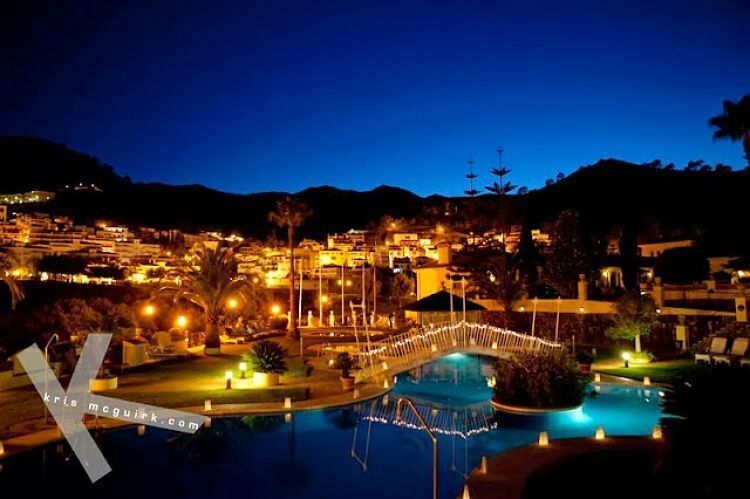 Only 7km from the Southern Spain Coastline situated between Marbella, Ronda and Estepona. 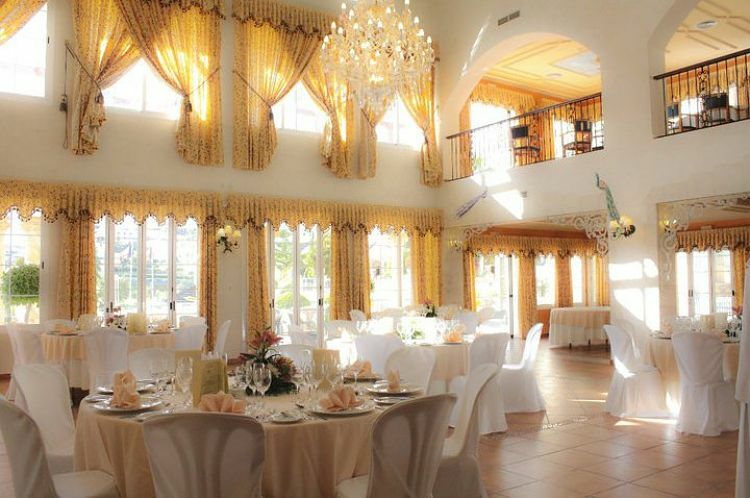 It has a large banqueting room that can accomodate up to 330 guests or you can use their amazing terrace if its a more intimate wedding, this can accomodate up to 90 guests. 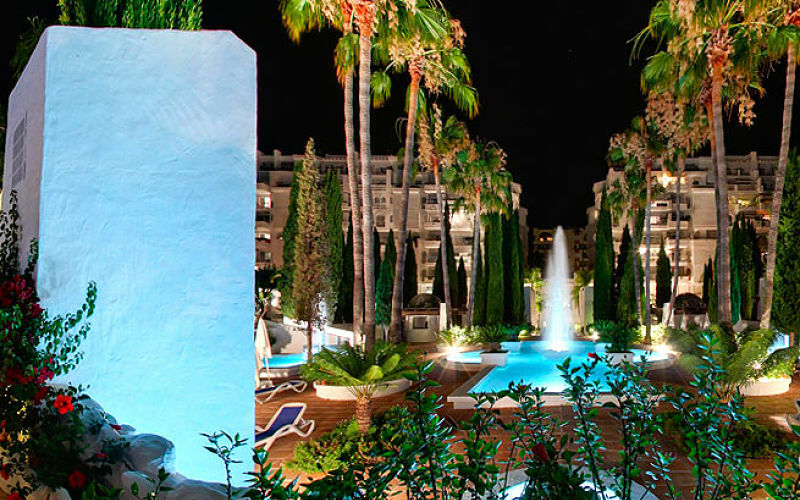 The terrace takes in the lovely views whilst sipping your reception drink and watching the Spanish sunset. This 4 star hotel also has beautiful landscaped grounds perfect to capture some amazing wedding photos. 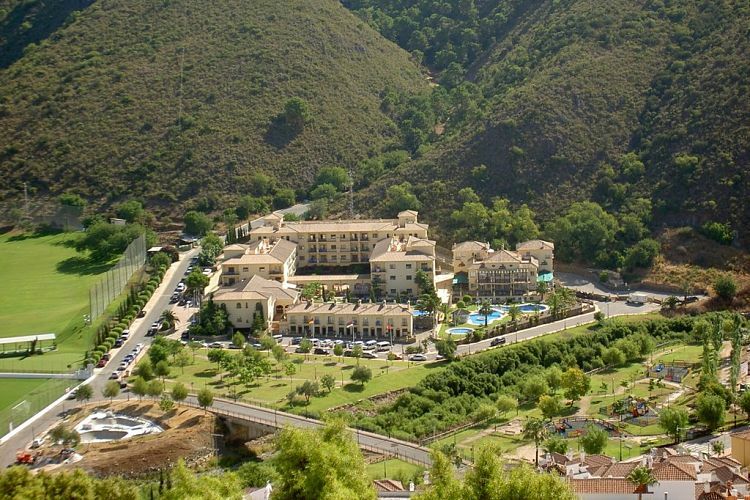 If you think this stunning rural 4 star Hotel is the Spanish Venue you have been searching for then please feel free to get in touch and we would be happy to help plan your wedding in Southern Spain. 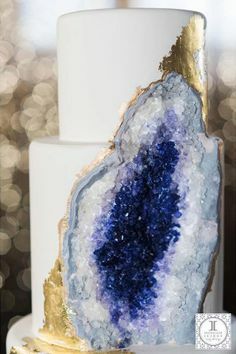 What wedding centrepiece are you having? Choosing the right centrepiece for your wedding tables can be hard word as there are so many different options out that that offer so much. 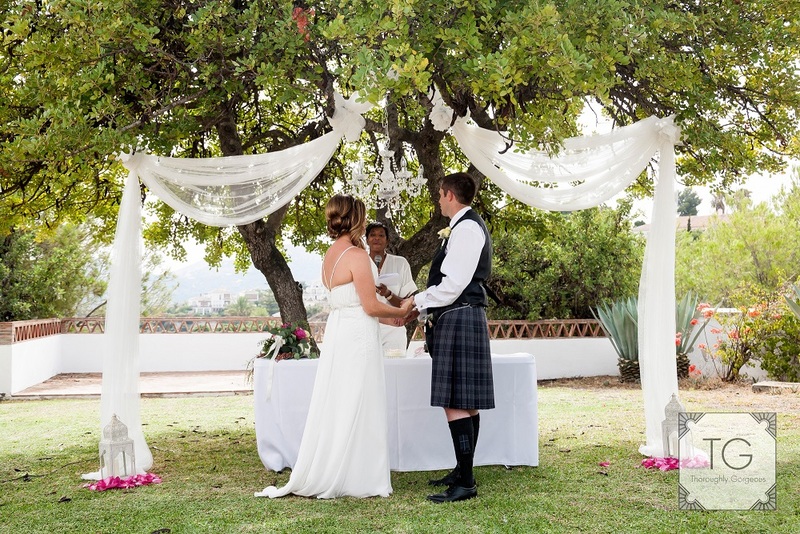 Here are Perfect Spanish Weddings we here to help with all your wedding decoration needs. 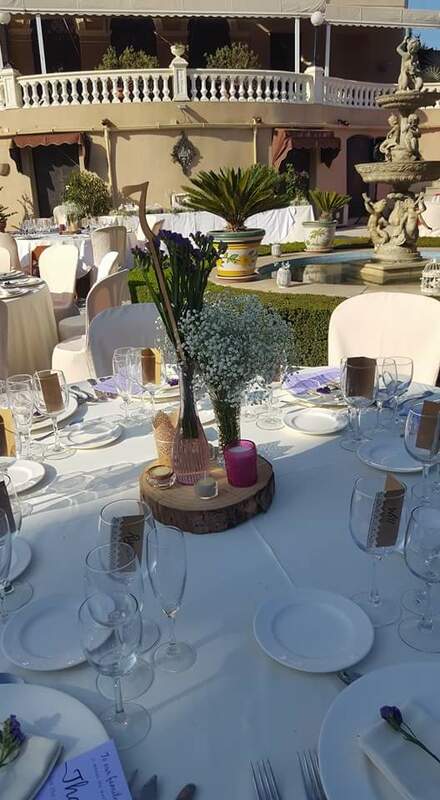 We work closely with some FAB Spanish Florists that create the most amazing centrepieces and also we have a very talented venue decorators which work their magic and can transform any of our Venues into your dream wedding. So with this in mind this blog is all about some ideas and inspiration for your wedding centrepieces. 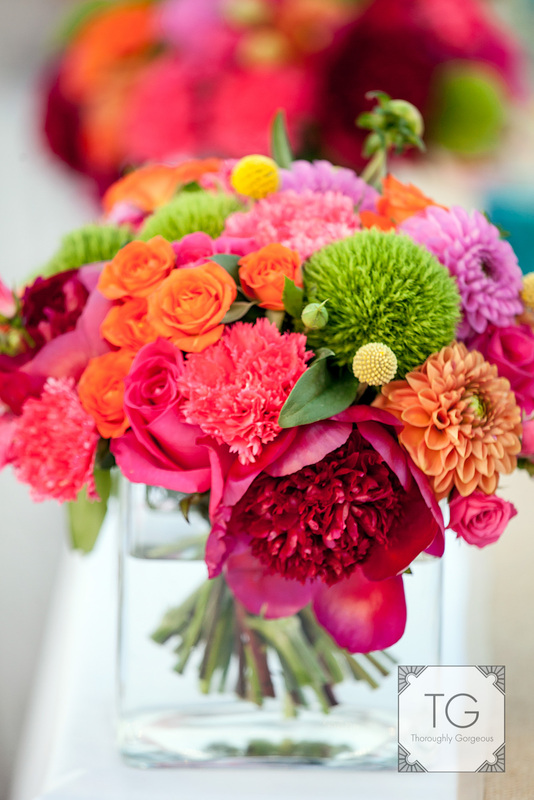 Having flowers are always a popular choice, you can add you colour scheme into them and they do look so pretty. With so many different flowers to choose from too you can create the most amazing looking centrepieces. You can use flowers in glass jars, bottles, wooden boxes and tin containers for a few examples. Below are a few photos of our work. 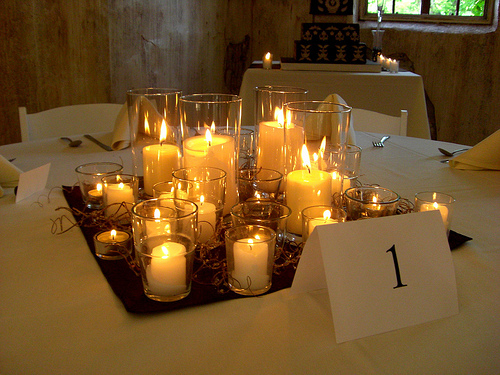 Candles create a very romantic atmosphere to a wedding table. You could have a tall candelabra or small tea lights in a tea-light holder. 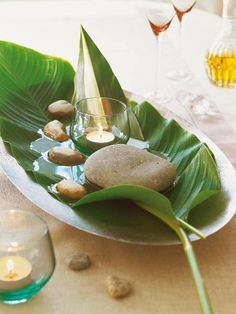 You can also add petals to the table to add a little bit more, or flowers or stones/pebbles, these are just a few ideas for you there are many more you can find on our pinterest page or google. Here are a few examples of candle centrepieces. Having a tall centrepiece can make a real impact on the table and works really well if your in a grand building or maybe outside in a grand garden. You can use tall glasses for this and add flowers or maybe feathers. Or you could have a large candelabra and then add decorations to this. 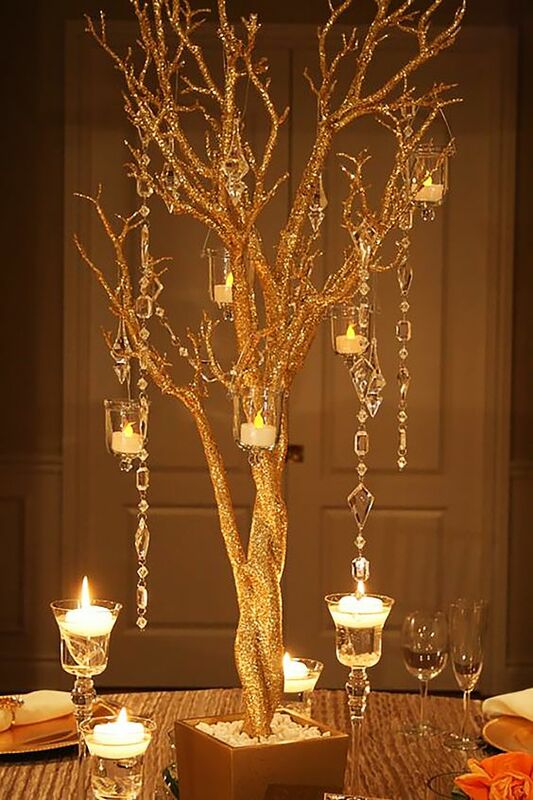 A large wishing tree also looks lovely and by adding some hanging crystals and maybe candles in glass jars also looks beautiful. A few pictures below of some examples. 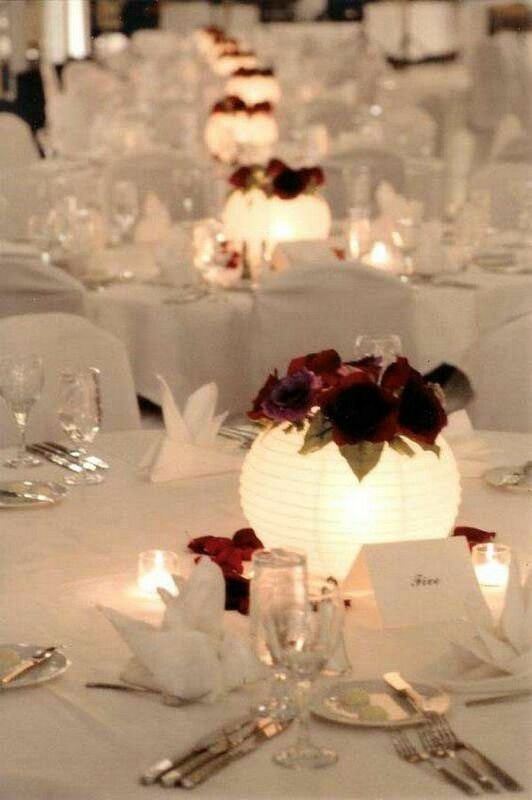 When using lanterns for your centrepieces you can add many different things to them to create different looks. They do look stunning just with a candle in them however you can also put flowers in and around them to create a different look. A few pictures to show you some of our past couples and their lantern centrepieces. If you choose to have a long table you can always add a long centrepiece onto the table rather then a few individual ones. 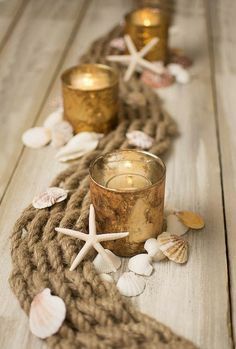 It adds the look of a table runner but with a use of different things from wood, leaves, candles to name a few it can really make a table stand out. A few ideas for you. 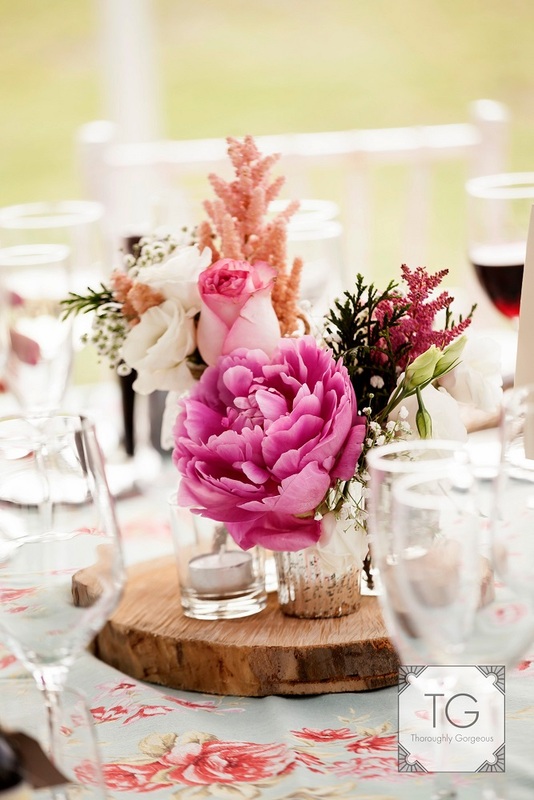 I hope this blog has given you a few ideas and some inspiration with your centrepieces. Hope you have a lovely wedding day. If you would like to discuss your table decorations for your up and coming wedding with us then please feel free to get in touch. 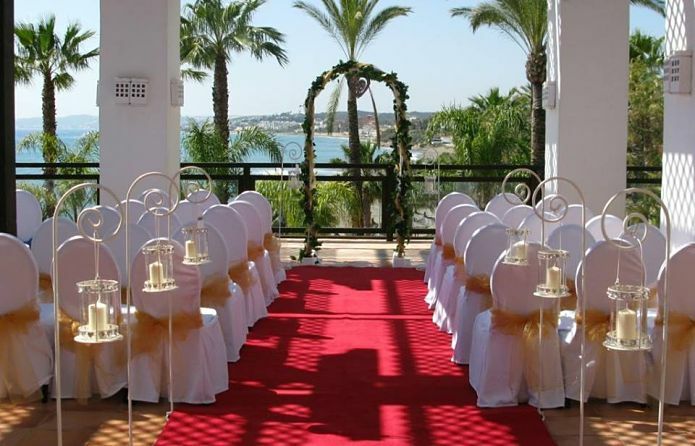 You can have your ceremony on the beach or on one of the terraces that takes in the lovely views. With 7 function rooms to choose from you will not be disappointed with this venue for your wedding. This hotel can accomodate up to 200 guests for your wedding banquet and has plenty of cuisine options to meet all your requirements. 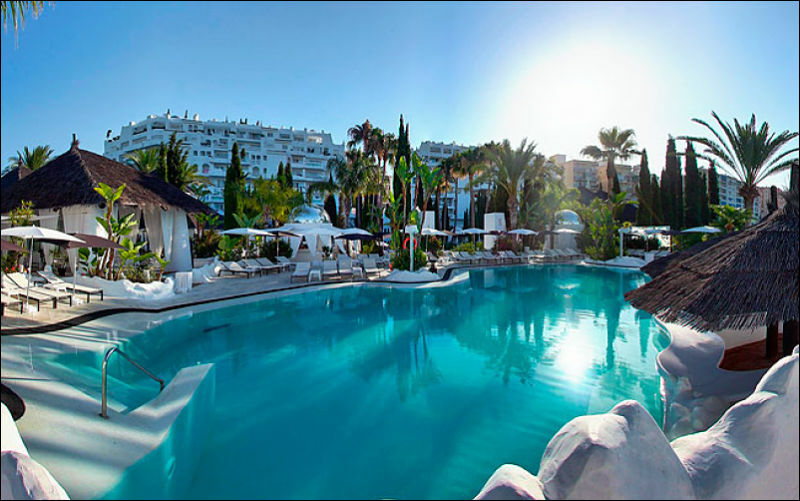 Estepona is a beautiful resort, just one hour from Malaga Airport. It has been awarded blue flag beaches, has plenty of lovely restaurants and lots of shops to browse if you want to take yourself away from the Spanish sunshine and beaches for a while. 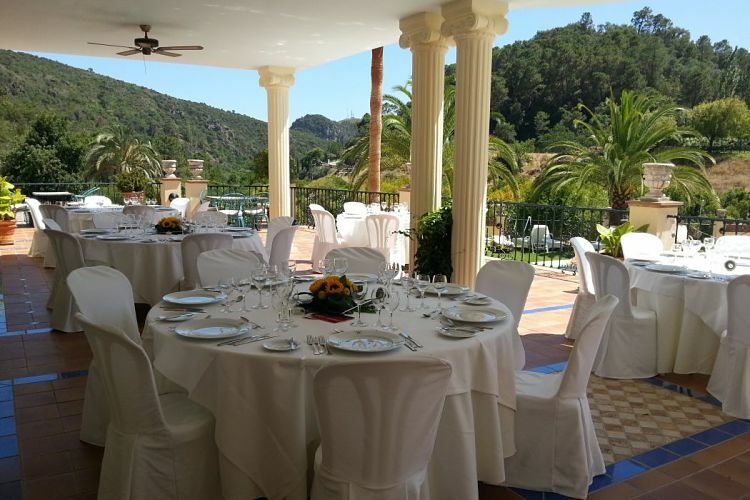 If you feel that this venue is the perfect place you have been looking for, for your wedding in Spain then please feel free to drop us a message and we would be happy to help with further details. What hair accessory are you thinking of having?? WOW... how do you decide what to have in your hair on your wedding day with so many things to choose from! I suppose it all comes down to what type of wedding you are planning on having and your hairstyle as to what will look amazing in your hair. 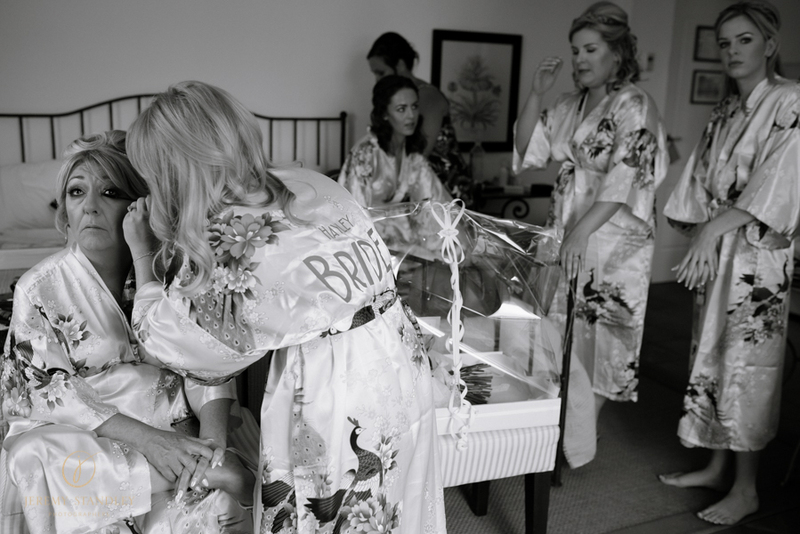 The Veil - a tradition that has been around for hundreds of years and as we see many wedding traditions change over the years this is one tradition that has always stuck. Many brides these days still do choose to wear a veil and its not always if they are getting married in a Church. Veils vary from length from a shoulder length to a cathedral veil which is to the floor and the detail in the veils can be very plain and simple to lace or diamontes. 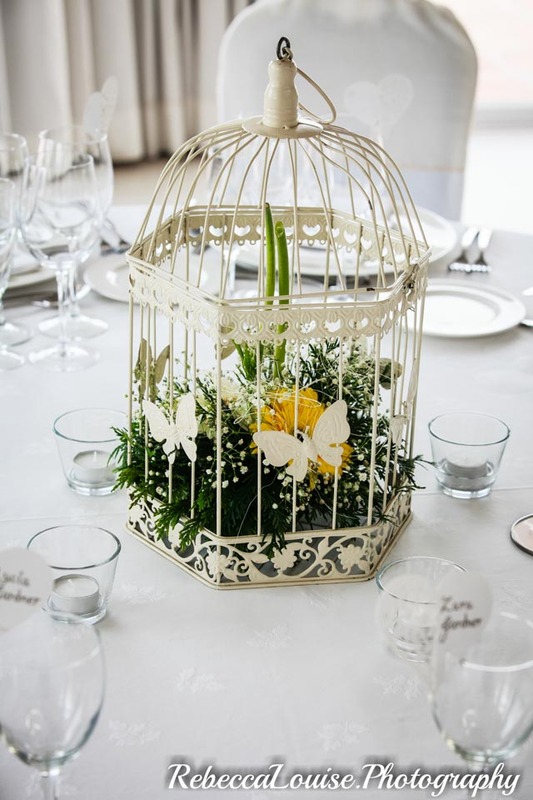 A birdcage is a trend that has come in over the past few years and it fits perfectly with your vintage themed weddings which are still a big trend. 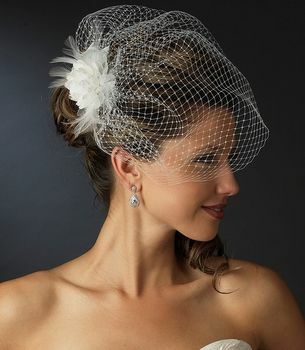 Its a lovely hairpiece that adds that slight tradition of your face being covered but is still modern. Hairpieces are a big trend and there are so many different styles and designs you can choose from. You can have pearls and/or diamonds in them they can be side clips, back clips, pieces that run around the back of your head and also run around the front of your head. 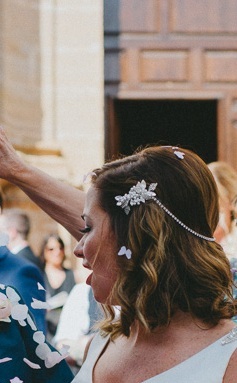 Hairpieces work well with all dresses and all types of weddings its a great way to add a bit of sparkle to your hair but it doesnt have to be huge.... some of the smaller pieces can also work well with a veil. Floral hair - a big trend if your having a boho style wedding. Having just flowers in your hair can look lovely. You can have flowers just put through your hairstyle, or have a floral headband or maybe just simply have a large flower tucked behind your ear. This look also looks beautiful if you having a beach wedding. I hope this has given you a bit of inspiration as to what you would like to have in your hair on your wedding day. 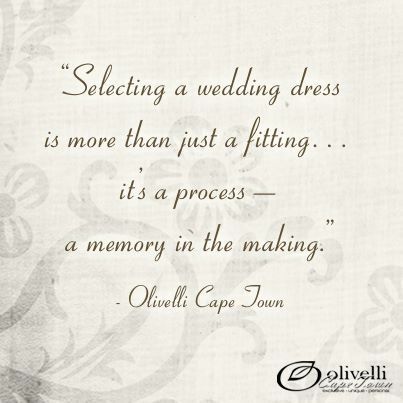 Just remember to try things on as part of your wedding dress shoppping experience as you will probably find that the one thing you said you didnt really want you end up buying and to be honest it is amazing how a dress tranforms once you accessory. Happy shopping and I know whatever you decide to have you will look stunning on your wedding day. 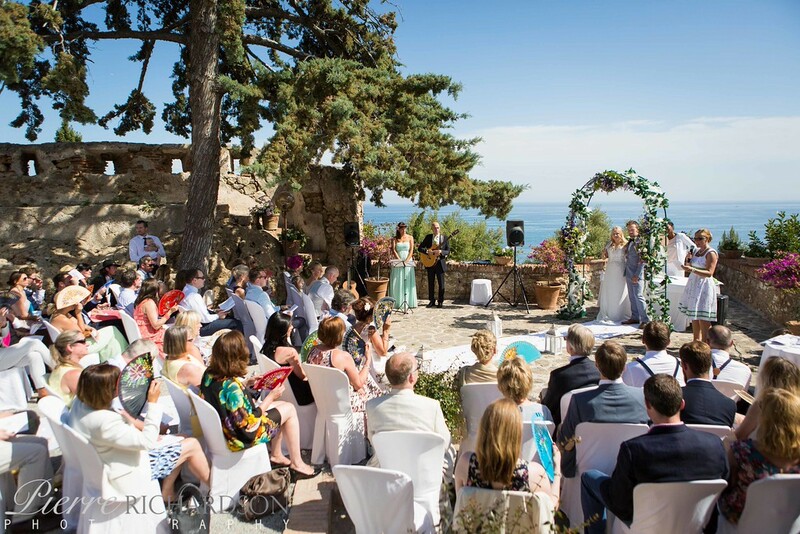 Today's blog is about a lovely 2015 wedding which was held at the stunning 16th Century Spanish Castle Castillo De Santa Catalina. 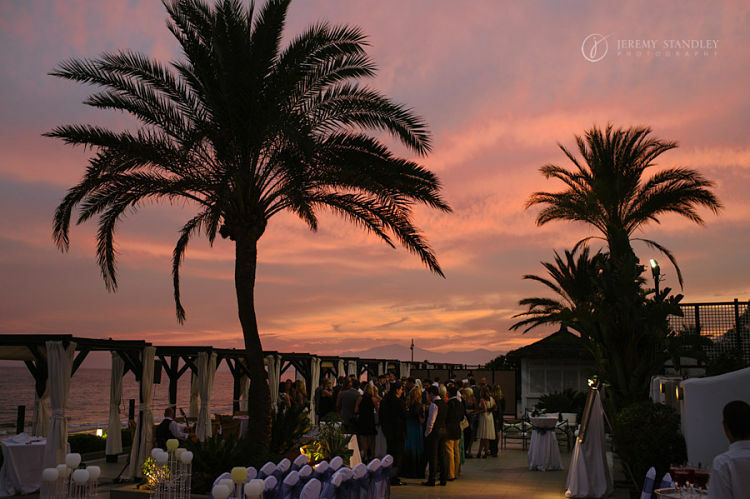 Barbara and Paddy choose this stunning venue for their wedding in Sunny Spain. 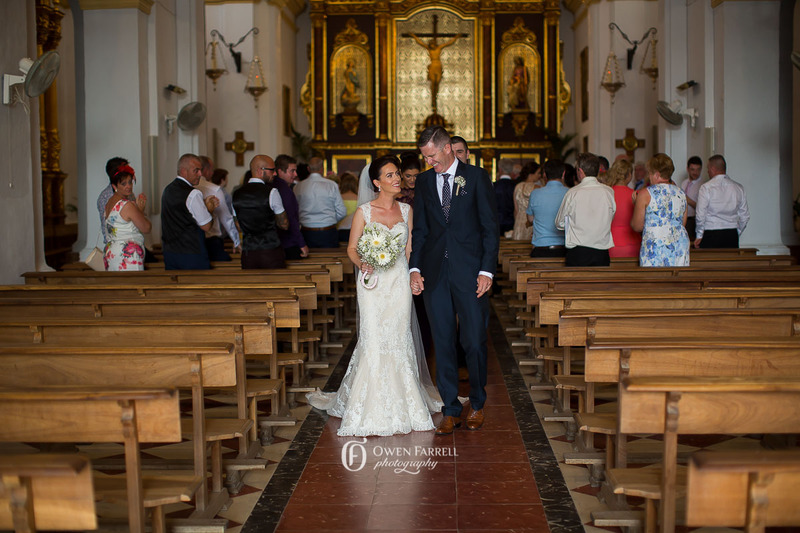 Their day was surrounded by their Family and Friends and the Spanish sunshine. It was a wonderful day filled with many memories and will be remembered by all for many years to come. They had the Ceremony over looking the sea which was truly breathtaking. After a lovely ceremony Barbara and Paddy plus their guests then got to enjoy a cold drink, and take in the castle surroundings and it was the perfect opportunity to get some photos. What Honeymoon are you having? Are you the one who will be booking their Honeymoon as one of the first things on the list or will you be leaving it until the last minute once everything else is paid for? 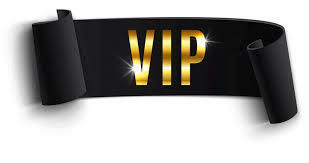 Having chatted to a few couples there really is a mix of opinions with regards to a Honeymoon..... some say they are getting it booked straight away as its an important part of the wedding planning preparations and then others have said they hadn't even thought about it yet and that they will look into into once everything is paid for. A honeymoon is not just a holiday it is the first time away as Husband and Wife, a time to relax after all the stress of planning your wedding and also having the opportunity of maybe visiting somewhere you have always wanted to go but would never really do it as just your normally annual holiday. Then its deciding what type of honeymoon to have..... do you go with Beach, City, Adventure, Ski or maybe even a Road Trip. Beach - A perfect way to unwind, chill in the sunshine and basically not do much. With so many places to choose from this. You could go with an All Inclusive Hotel or maybe just a small island bungalow. With your days spent relaxing by the pool or beach, maybe a bit of sightseeing and then watching the sunset with a cocktail in your hand. 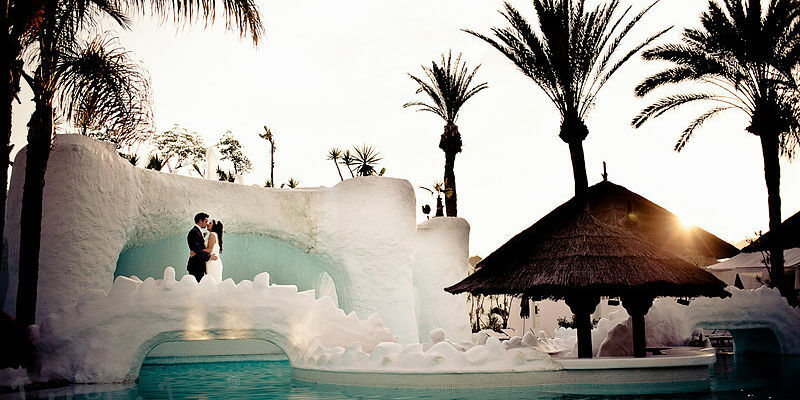 A few location ideas for you Thailand, Fiji, Bali, Seychelles to name a few..... Is this your type of Honeymoon? City - If you are not a beach bum and enjoy the city life and exploring then this could be the honeymoon that is perfect for you. You can spend your days walking, cycling or maybe bus tours around the stunning city sights then come the evenings visit the restaurants, Bars or maybe even the theatres. 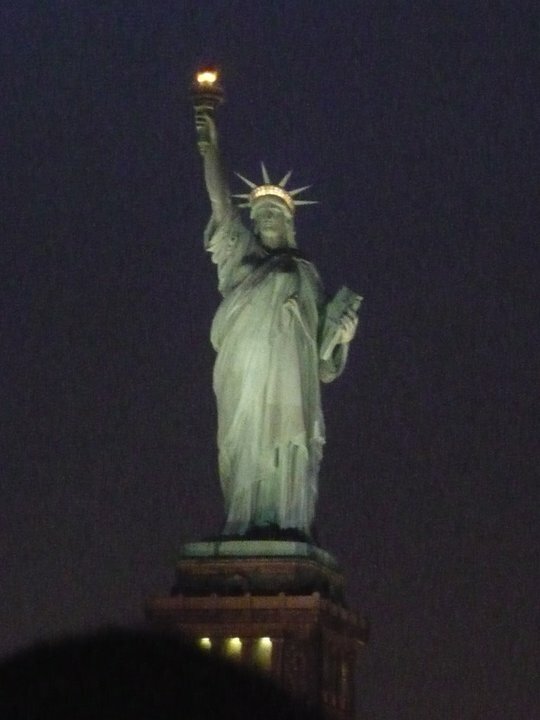 A few ideas for you New York, Boston, Rome, Paris. Is this your type of Honeymoon? Adventure - for all the adrenaline junkies out there, if your an active pair and love trying new things then this is an great honeymoon option for you. Spend your days jumping off cliffs, scuba diving into the lush turquoise seas, spend the day with the orangutans or if your feeling really tough then climb a mountain. A couple of location ideas for you Killimanjaro, Red Sea, Borneo, Brazil, Costa Rica...... So is this your type of Honeymoon. Ski - So a snowing break is more what your looking for. 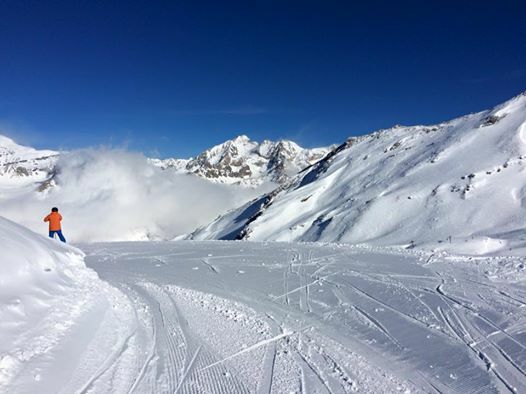 Hitting the slopes by day, feeling the fresh air against your face and then by night cosying up by the fire with a glass of wine with your loved one. Sounds lovely doesnt it. A few location options for your France, Bulgaria, Italy, Canada.... Is this your type of Honeymoon. Road Trip - for the explorers at heart. Touring from place to place, exploring new things and getting to see everything from mountains to beaches to national parks. You can do this with a campervan or grab a convertable and stay in hotels for a bit more luxury. A few ideas for this USA, Australia, New Zealand, Europe... Is this your Honeymoon. 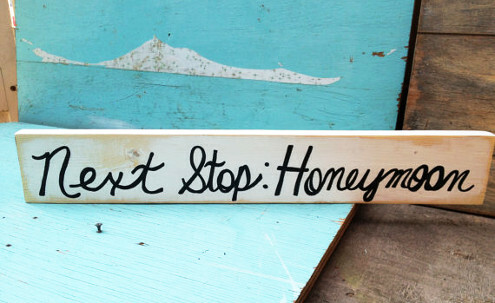 We would live to hear what type of honeymoon you plan on having? 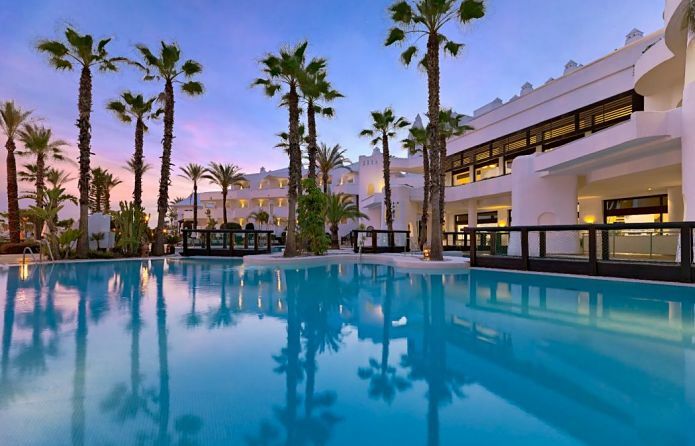 This stunning Beachfront Hotel Venue situated on the beautiful Andalusia coastline is perfect for a Spanish Wedding. 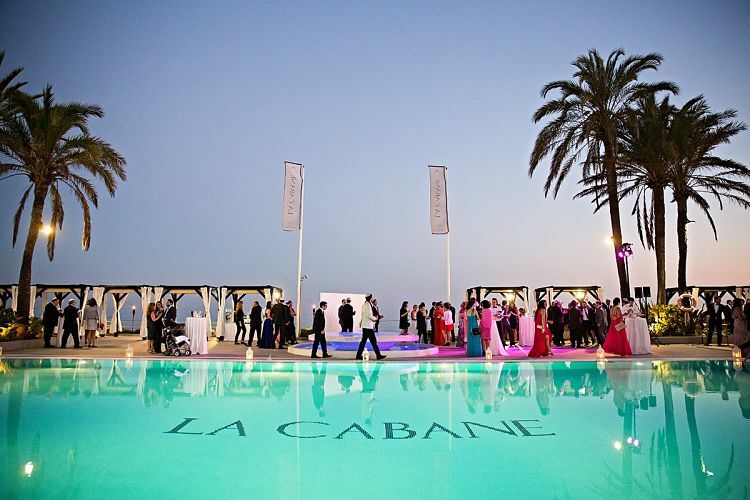 The Venue itself is simply breathtaking with elegant and modern decor inside and out. 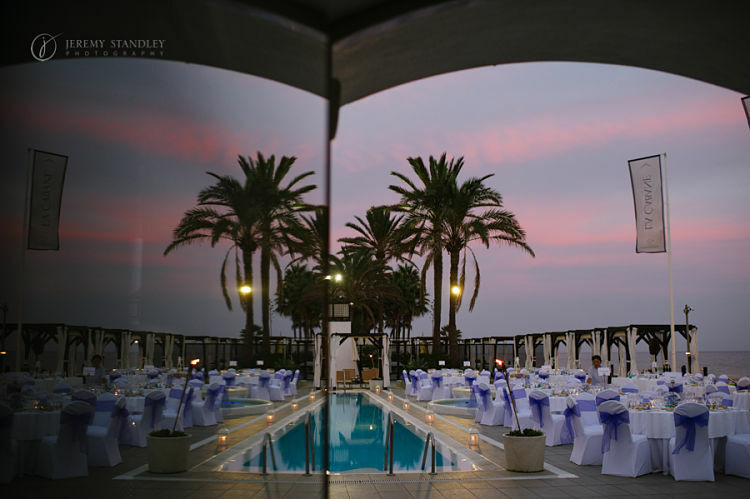 With excellent indoor facilities to hold your wedding inside if you desire or you can of course make use of the beachfront location, the poolside area and the stunning grounds to hold your ceremony and reception. And the views are amazing - Beach, Mountains and all panoramic!! 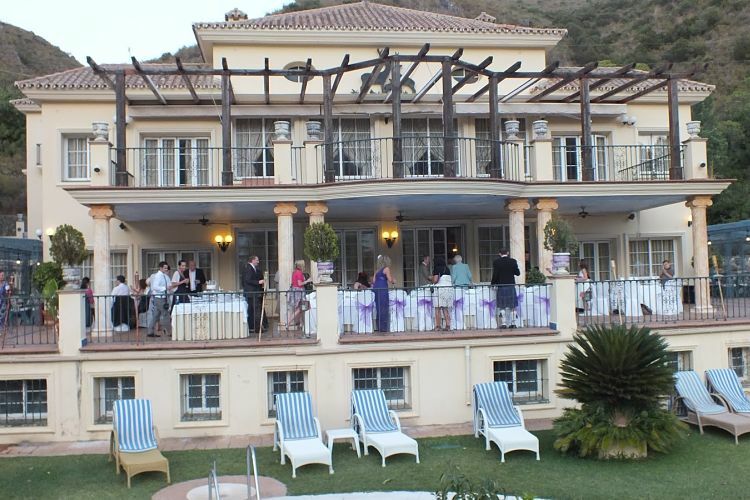 You can see why this Venue is so popular with many couples wanting to tie the knot in Sunny Spain. It is modern, fresh and sophisticated. 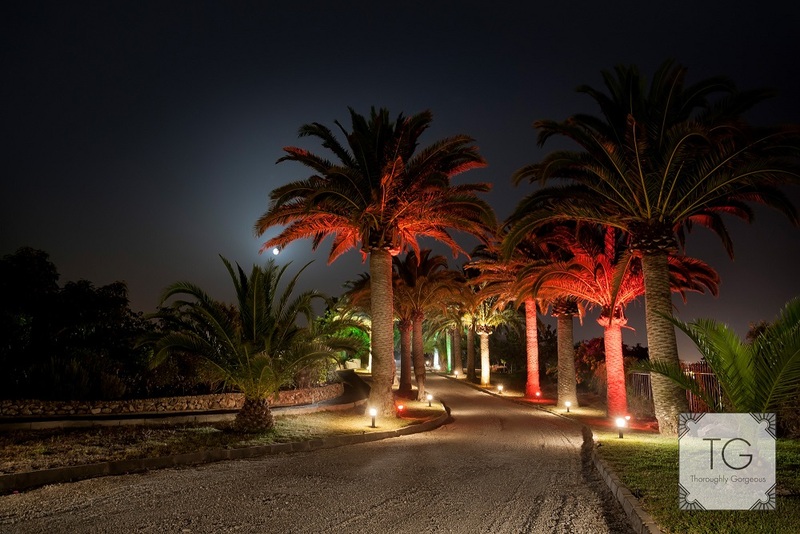 If you feel that this Spanish venue is your wedding venue then please feel free to get in touch and we would be happy to help plan your dream wedding in Spain. Hayley and Shane had a stunning Wedding Day at one of our beautiful venues. 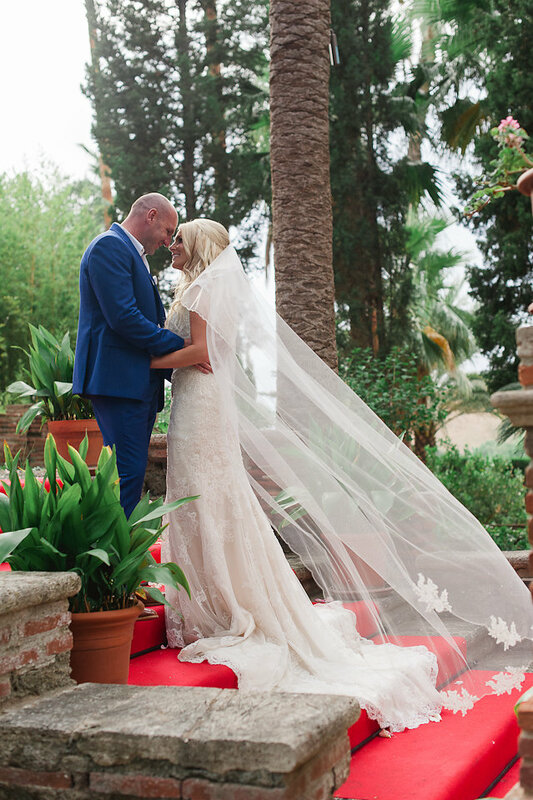 They decided that Hotel Cortijo Bravo was the perfect venue for them to have their dream Spanish Wedding and you can see why they choose it. Their day was surrounded by their Family and Friends and it was truly a day to remember. 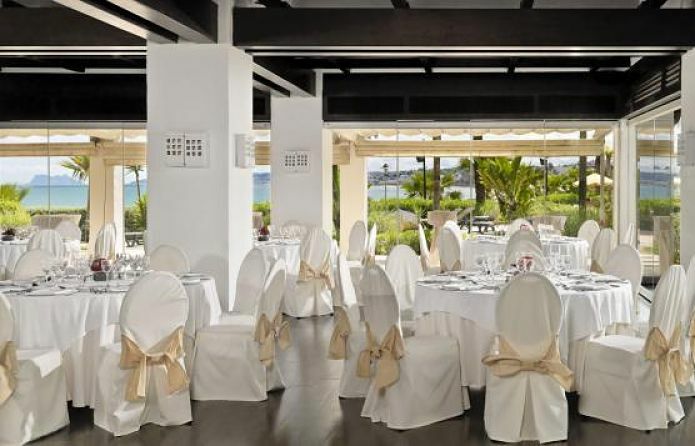 Hotel Cortijo Bravo is a beautiful venue with amazing views of the sea and mountains and is perfect for holding your wedding there. 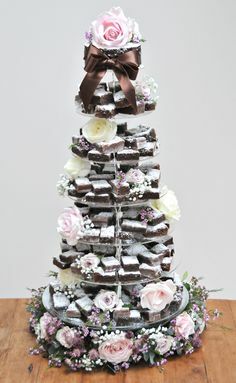 What type of Wedding Food are you having? Feeding your guests is a big part of the day otherwise you will end up with unhappy guests :( not a good start to a wedding day. 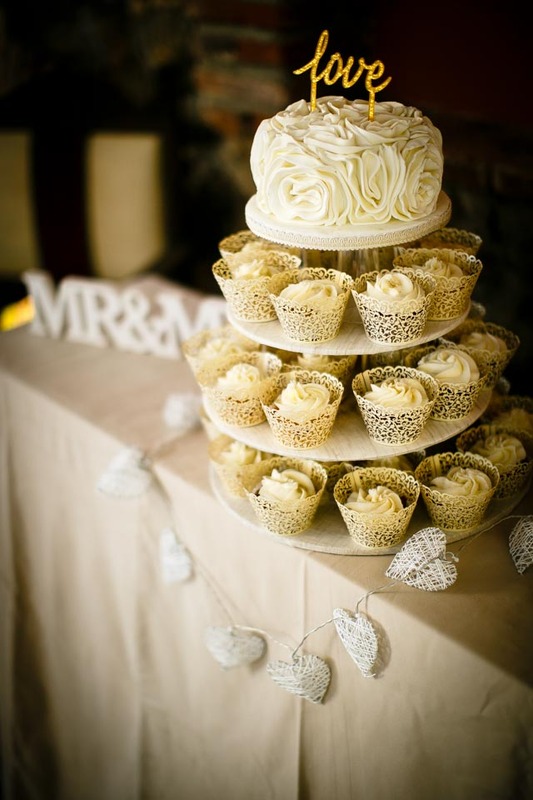 But deciding on what type of food you want for your wedding day can be a big decision. A sit down meal tends to be the more traditional way of serving food but tends to be the more expensive one. Normally looking at 3-4 courses and you have more of a formal sitting plan for everyone. 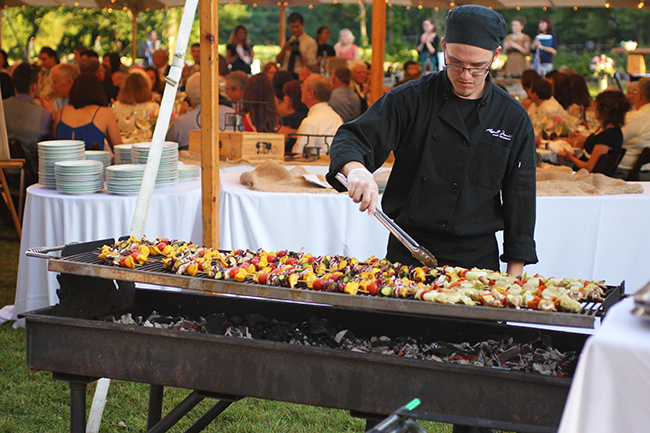 BBQ is a great option if your on a smaller budget and having an outdoor wedding. Its a lot more relaxed and you can then opted for a seating plan or just let people get comfy where they please. You could also have a Hog roast as an option too. 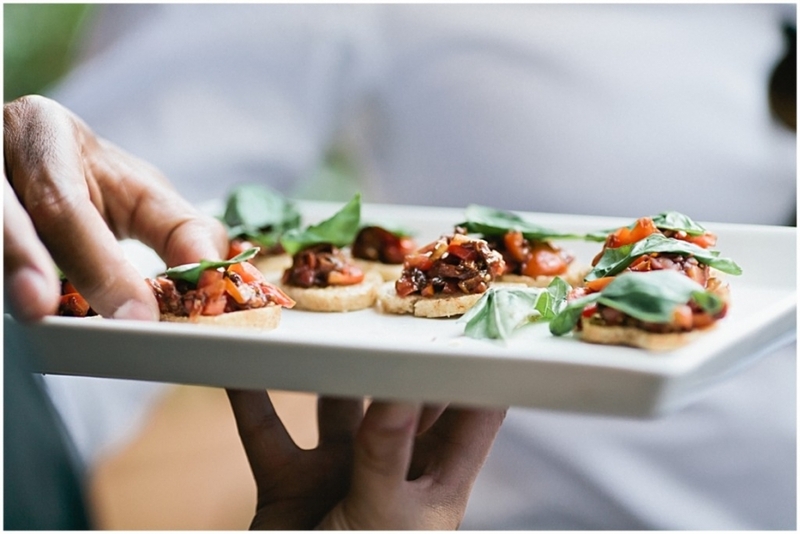 Canapes can be nice for your guests once they arrive at the venue, if your wedding food isnt going to be for a few hours its a good way of keeping your guests happy until the main food comes out. 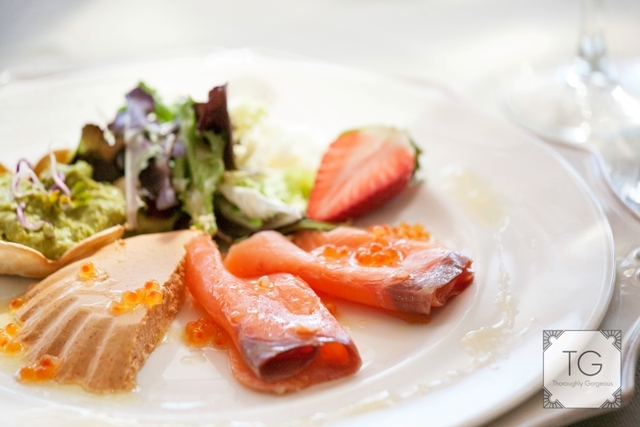 Some canapes can be pricey depending on your venue and what you have. Buffet is a another great option if your on a tighter budget. You can use the buffet for your main meal or for your evening guests when they arrive. Its a good way of letting your guests have a range of food and they can help themselves. Again adds a more relaxed atmosphere to the wedding. 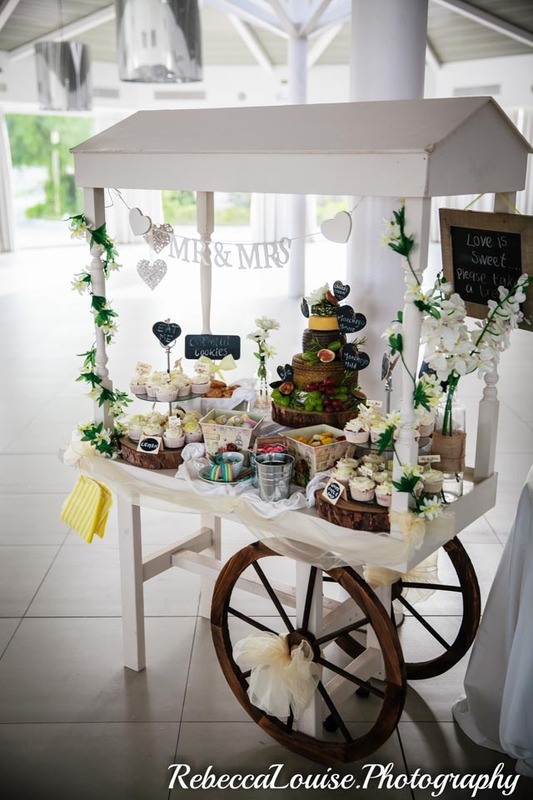 Food Carts/Trucks are a great alternative to wedding food and adds something different to your wedding. 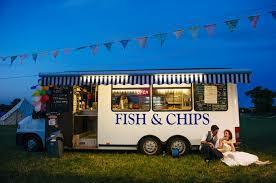 There are many options out there from A Fish and Chip Van, Mexican Van, Jacket Potato Van for example. 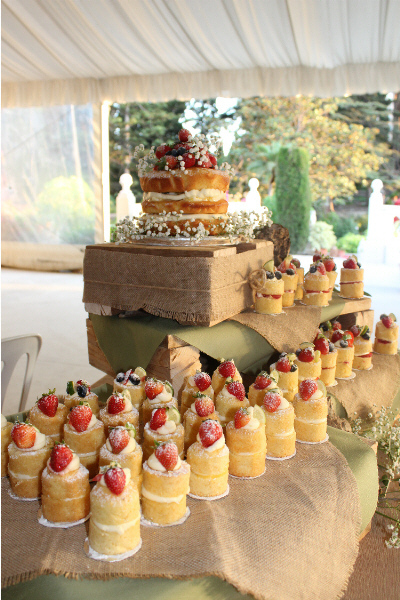 I think this sort of food works perfect if your having a garden wedding or a festival themed wedding. 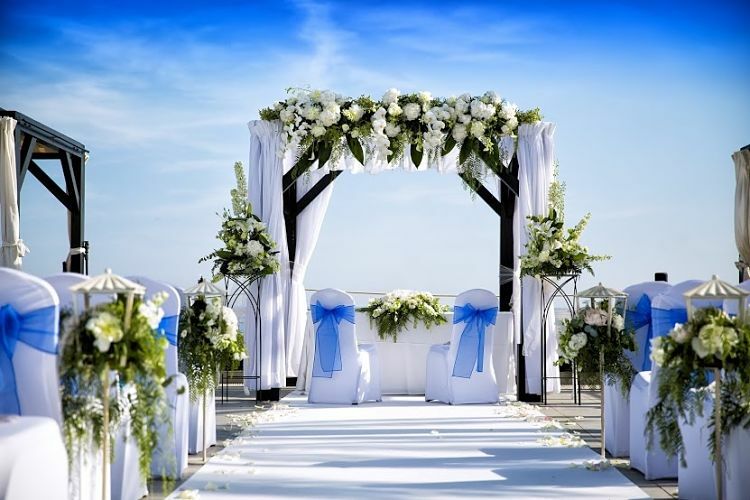 Creates a lovely relaxed wedding feel perfect for a couple that isnt looking for your traditional wedding. Food Bars/Carts are great. Mainly tend to be more for your desserts but thats fine as everyone loves a good dessert. You can have a Candy bar, Popcorn Bar, Icecream Bar or maybe a Cake Bar. Really ends a FAB twist to serving your desserts. So a few different ideas there for your food at your up and coming wedding. I hope this has given you a bit of inspiration and maybe made you think more about what food you want to eat at your wedding. Would love to hear what you went for in the end............. I had your traditional sit down meal but did have a chocolate fountain for the evening...yummy. 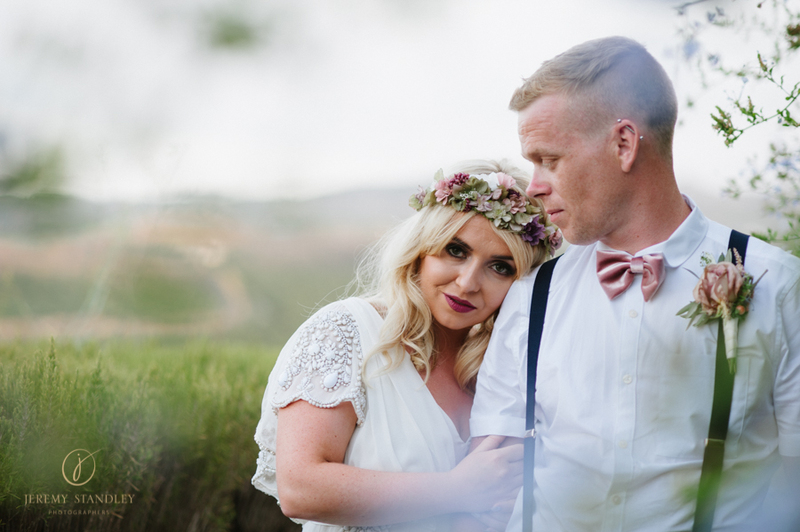 Nikita and Paul came all the way from Australia to celebrate their wedding day in sunny Spain with their Friends and Family. 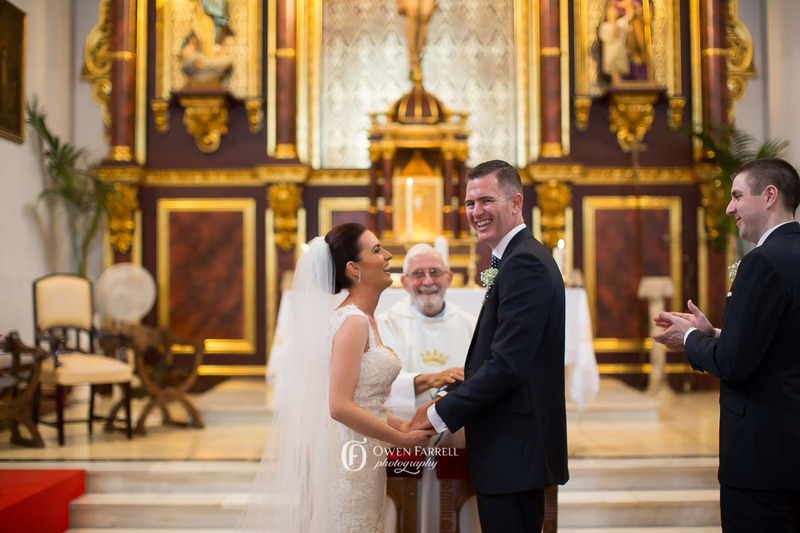 They chose to get married at our stunning Frigiliana Church in Nerja. This is a beautiful church inside and out and is set in a typical Spanish Village. Their 74 guests sat waiting for them to say I Do. 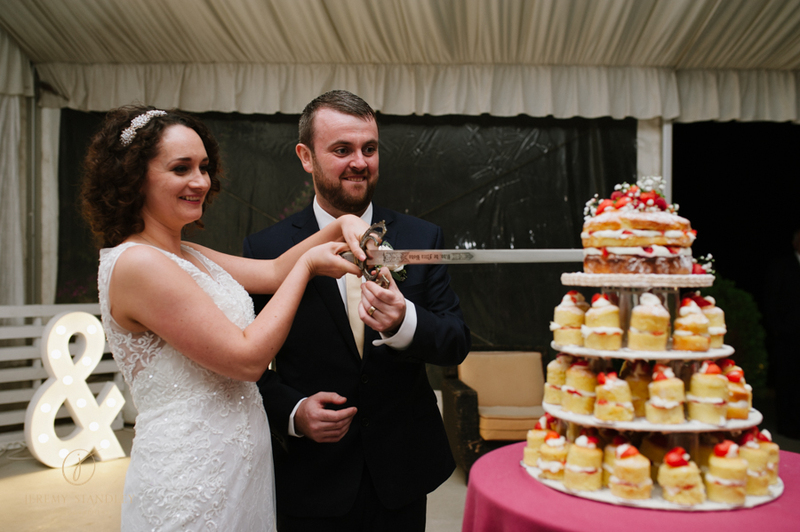 They then went onto our lovely Casa De Los Bates venue to continue their celebrations. This is a beautiful traditional that has been around for many years. By adding these 4 things onto the bride they say it will not only bring you good luck on your Wedding Day but also it will help with fertility and prosperity. The Something Old, Something New, Something Borrowed, Something Blue and a sixpence in your shoe has come from an Old English Rhyme. 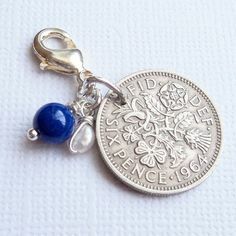 Something Old represents continuity; Something New offers optimism for the future; Something Borrowed symbolises borrowed happiness; Something Blue stands for purity, love, and fidelity; and a sixpence in your shoe is a wish for good fortune and prosperity, although this remains largely a British custom. These 4 things are usually something that is given to you by a family member or a guest, although there is no harm in you buying any of them yourself. There are so many different ways of including these things into your wedding attire, from jewellery, shoes, pins for your bouquet, garter, blue writing inside your dress, small tokens added to your bracelet or bouquet, a vintage piece of clothing or an underskirt or veil borrowed. 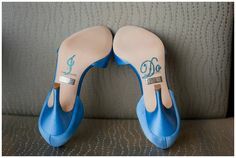 I would love to hear if you followed this tradition and how you incorporated them into your wedding attire. 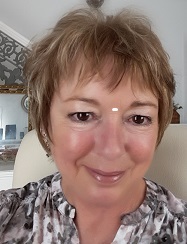 I had as my...... something old - a pearl necklace I got as a gift for my 18th birthday something new - was earings and a bracelet something borrowed - was my underskirt something blue - was my garter And i didnt do the lucky sixpence as I wasnt aware of that one.